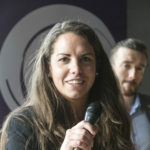 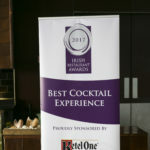 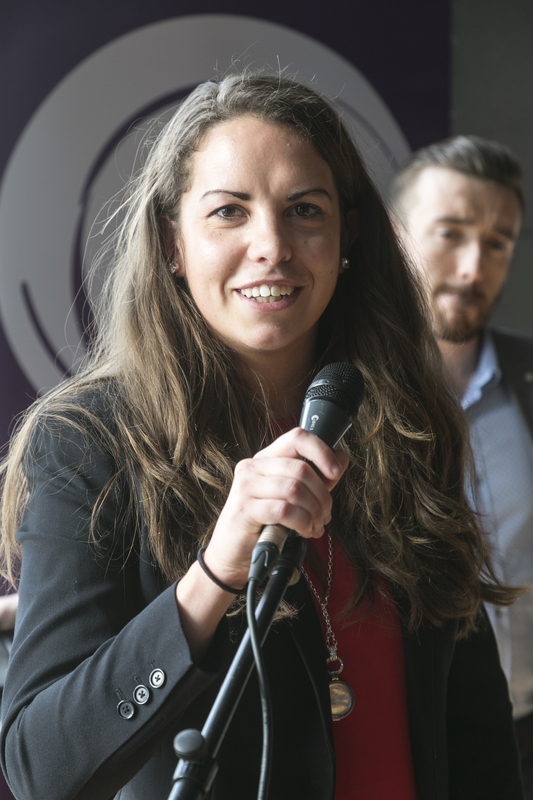 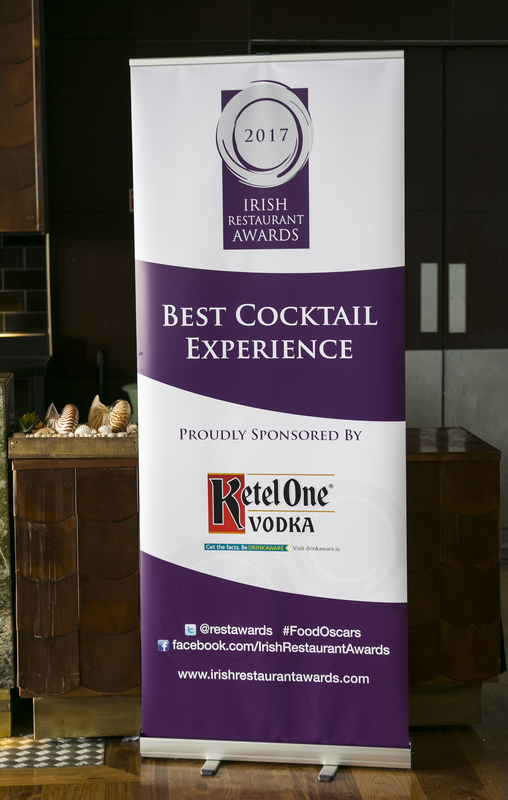 The Irish Restaurant Awards held the Best Cocktail Experience competition on Tuesday 11th April 2017 in the Arroll Suite of the Guinness Storehouse in Dublin. 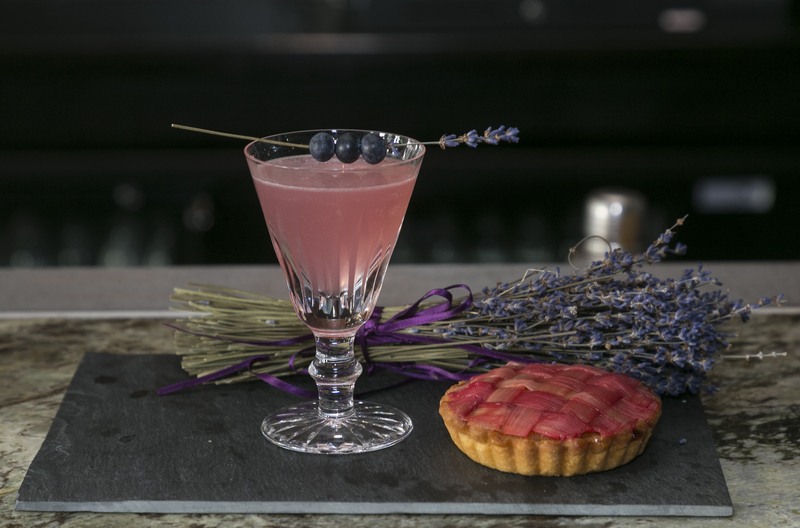 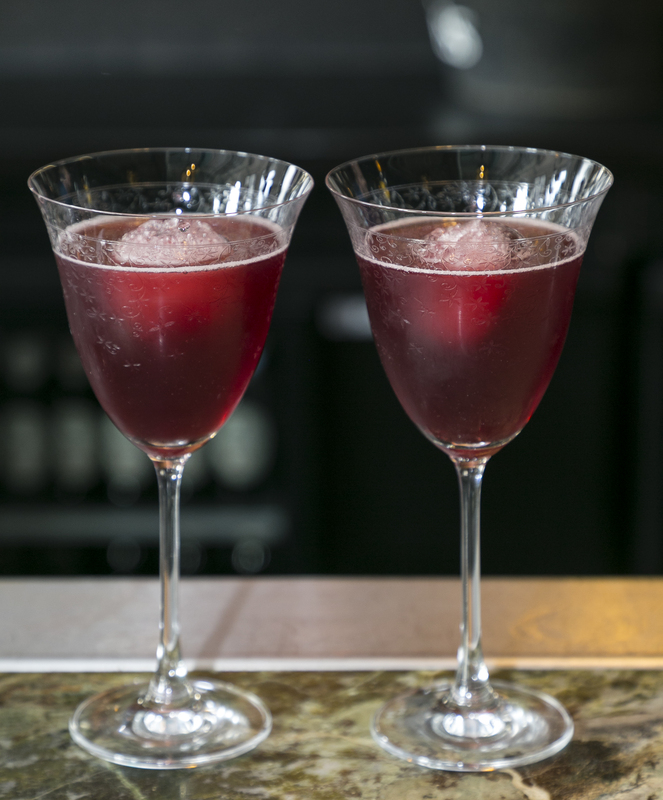 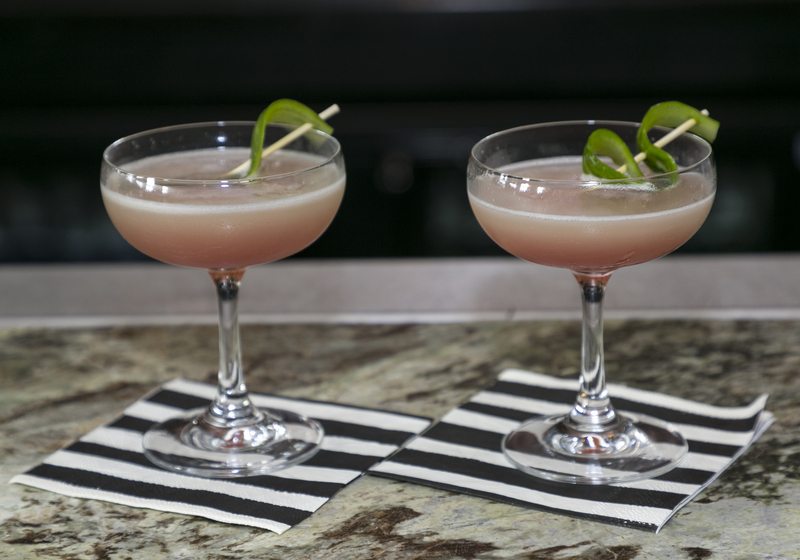 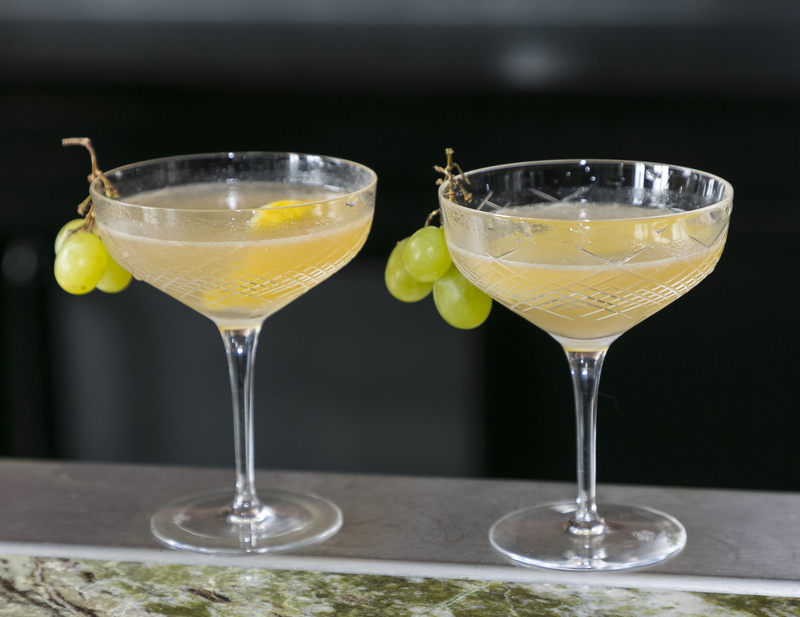 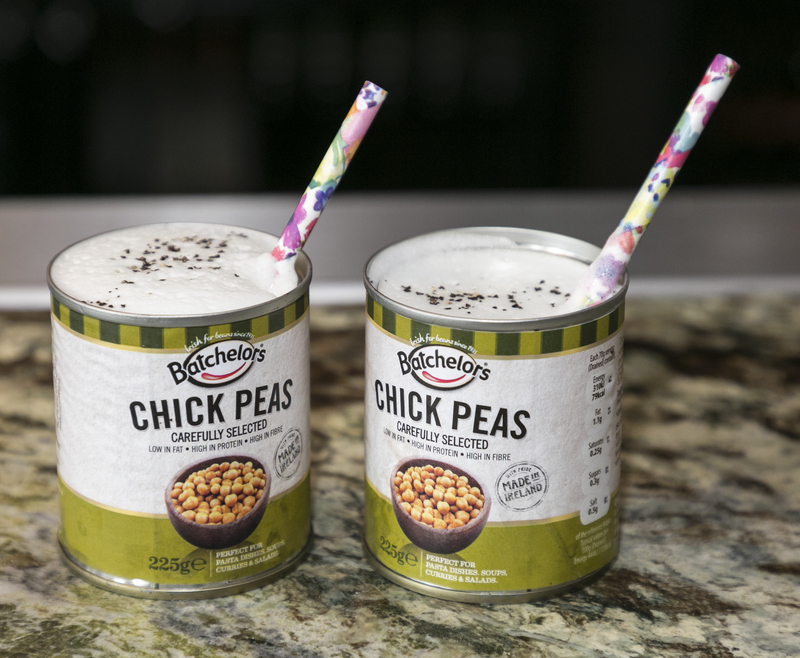 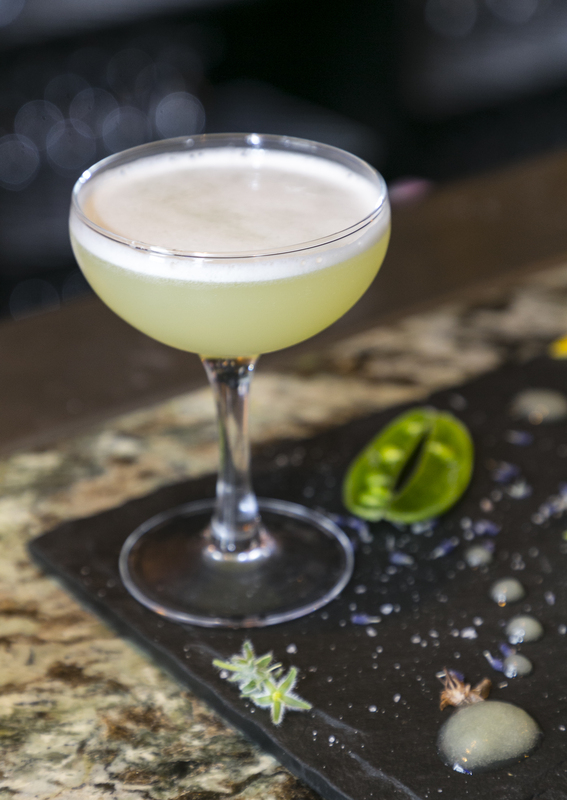 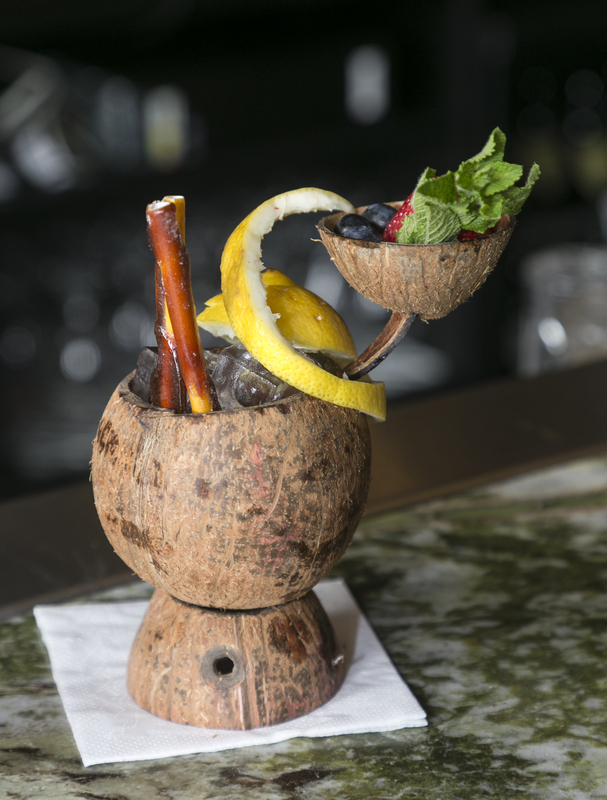 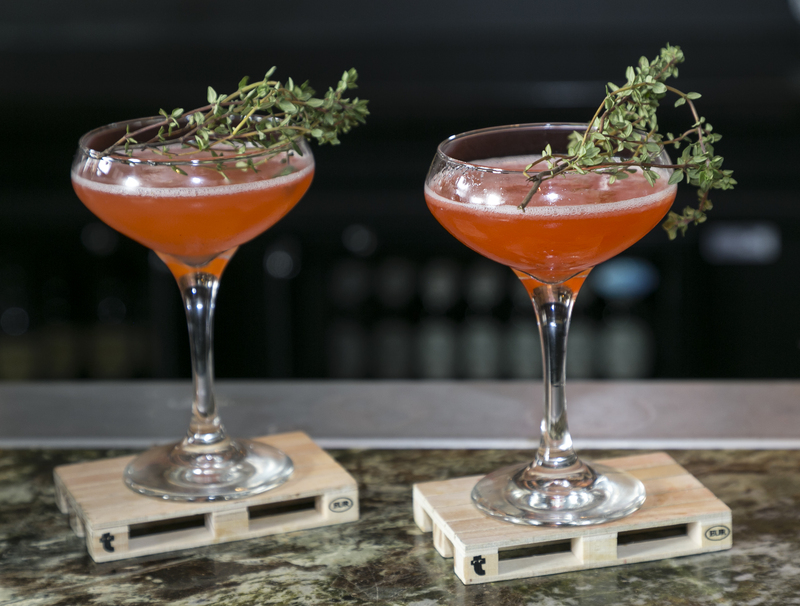 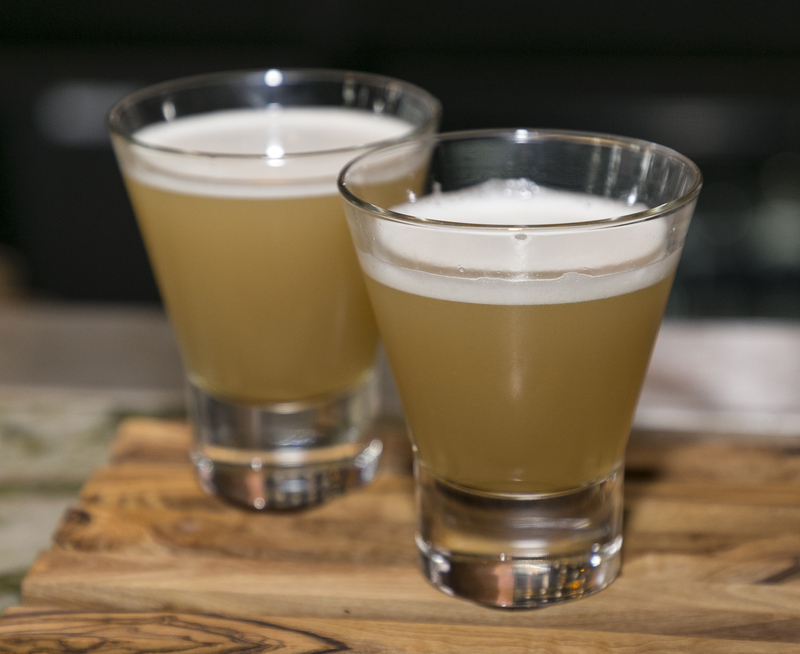 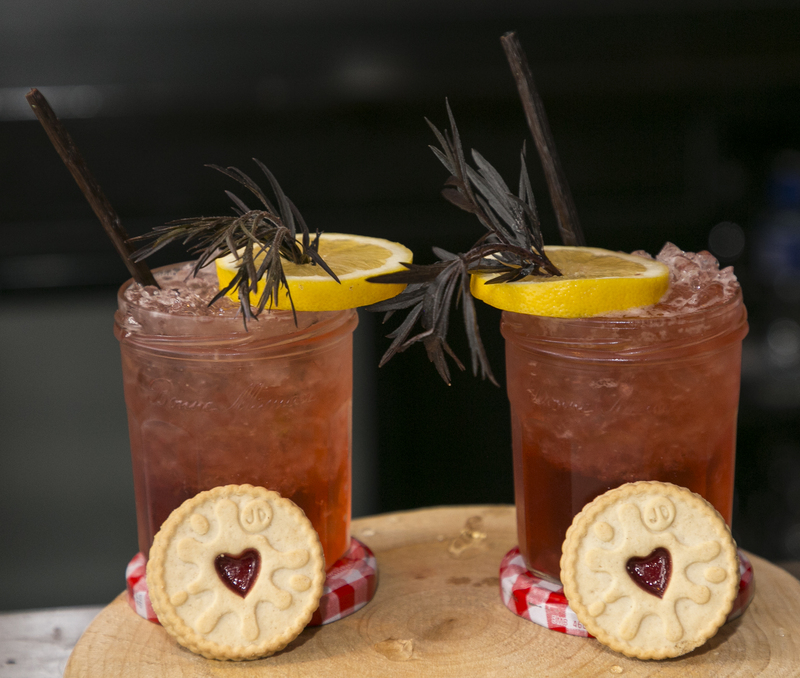 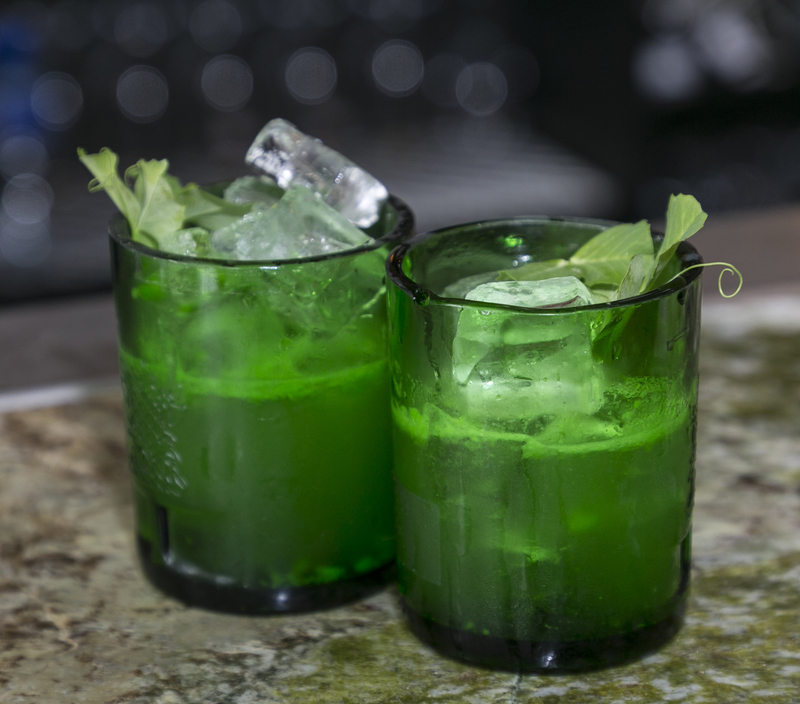 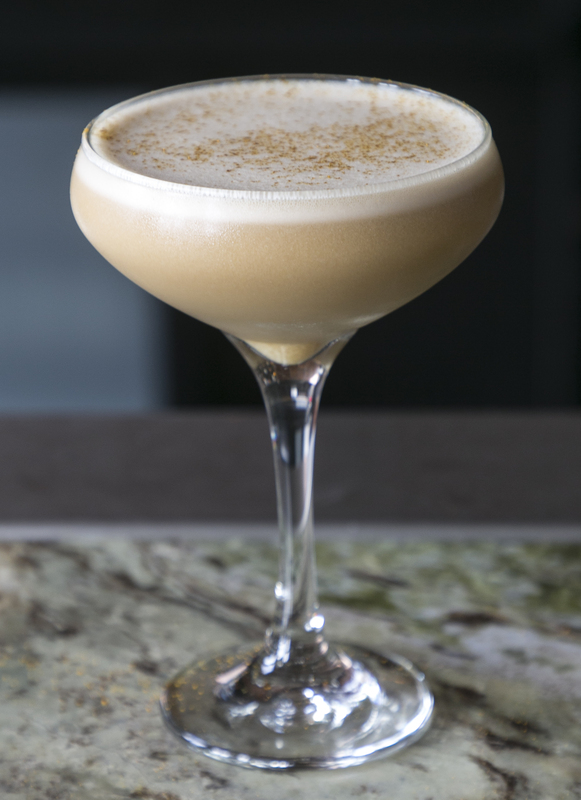 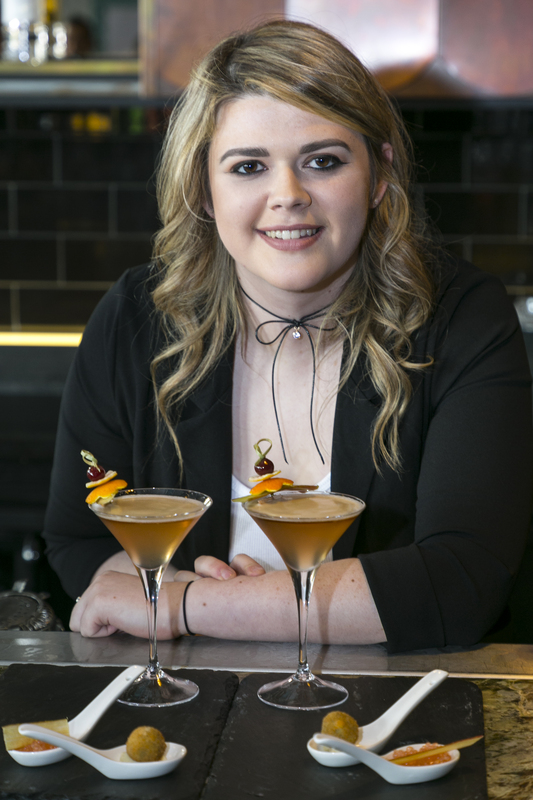 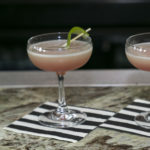 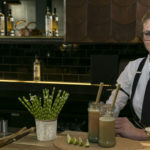 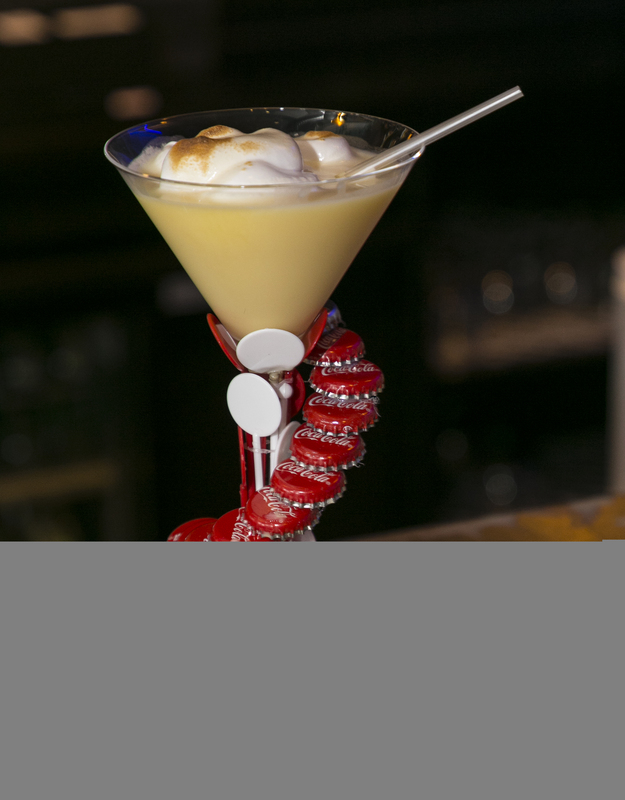 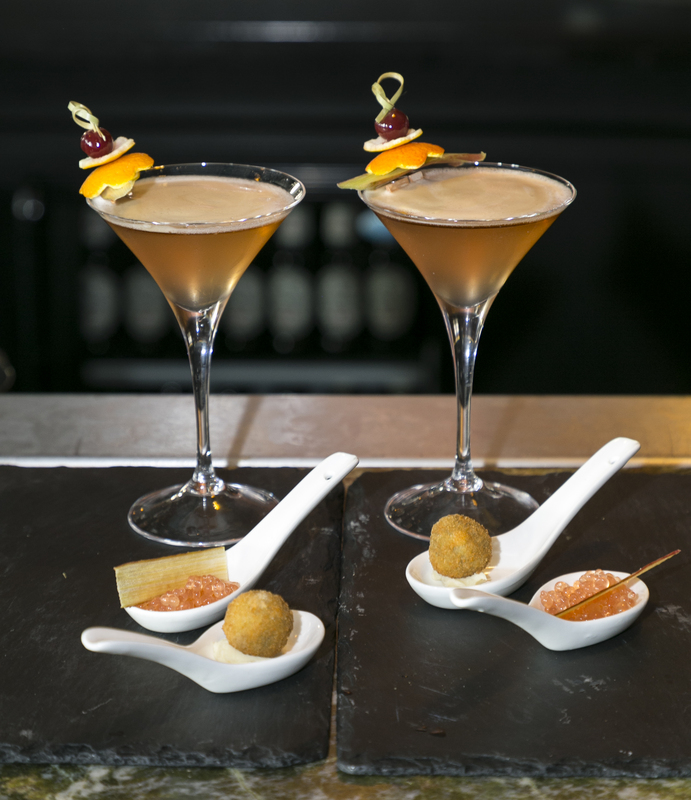 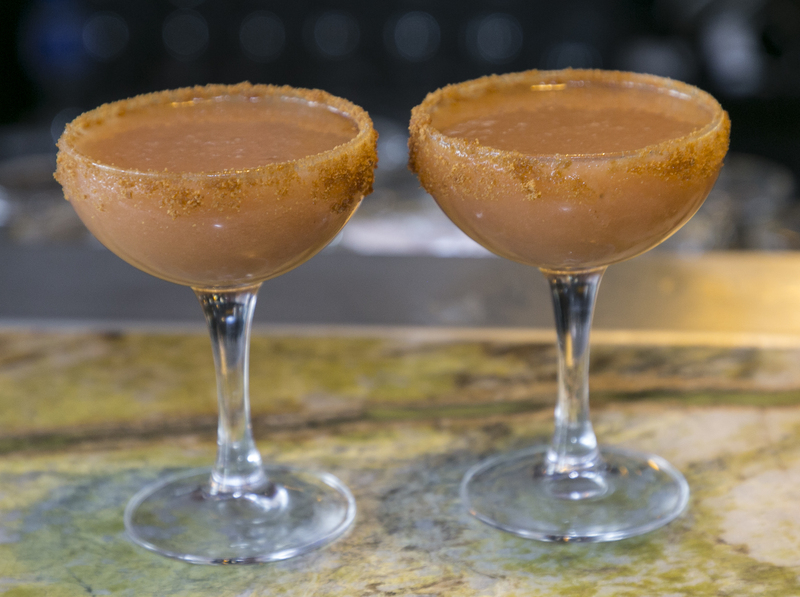 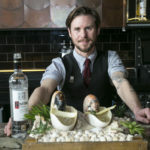 55 establishments, nominated by the public in January, competed for the title of Best Cocktail Experience 2017. 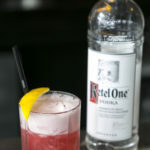 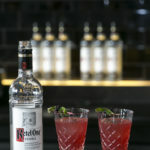 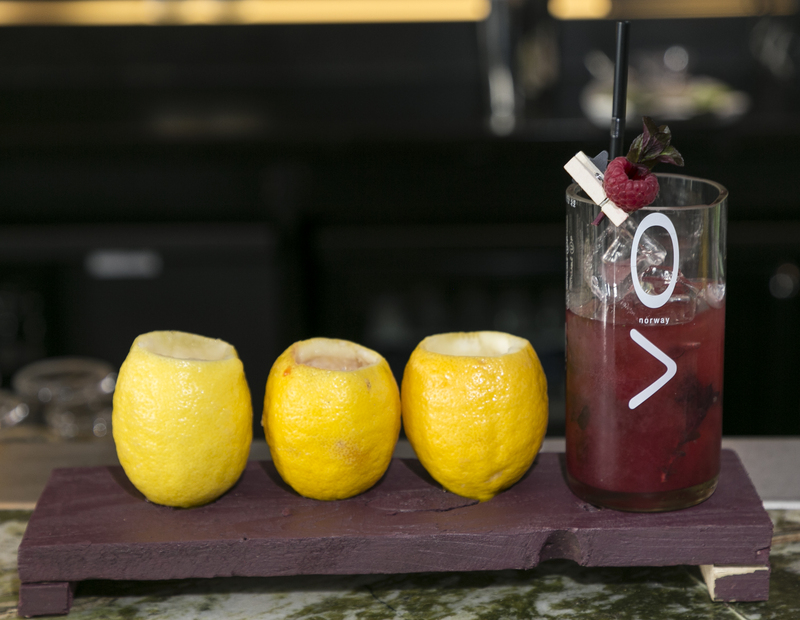 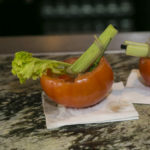 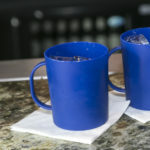 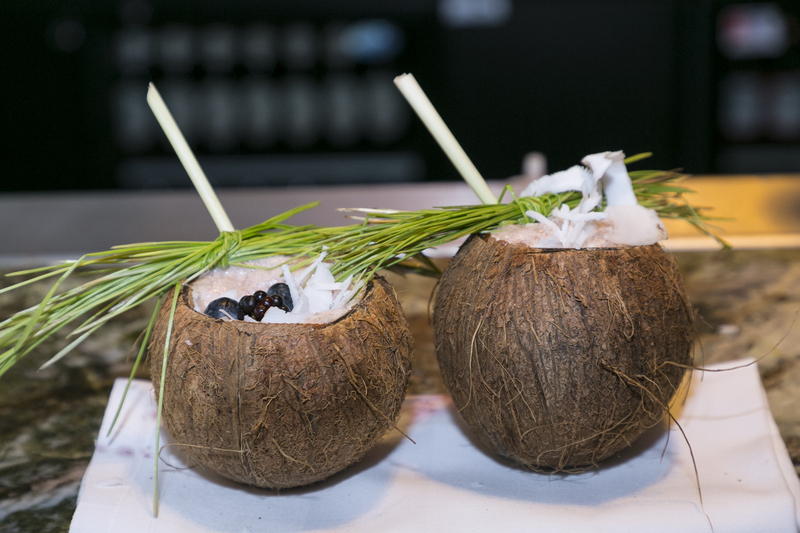 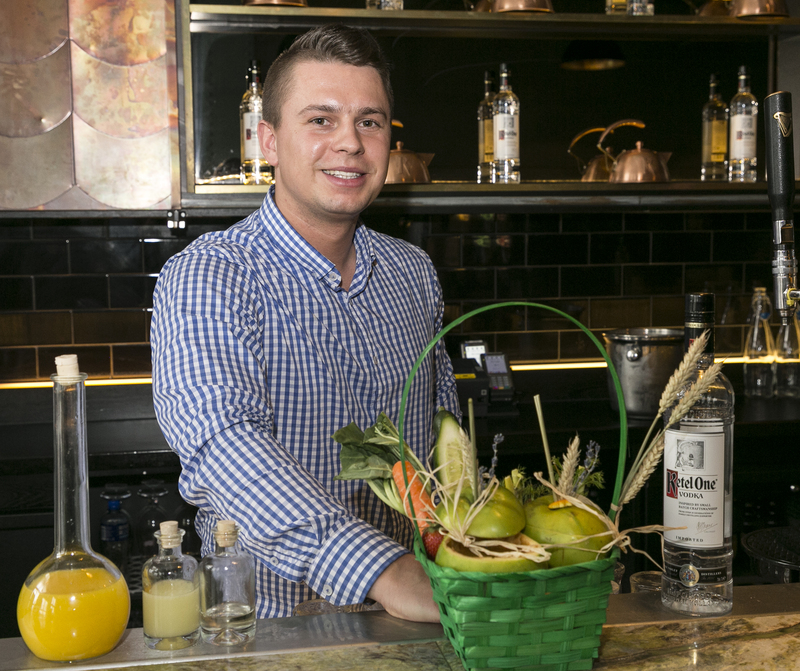 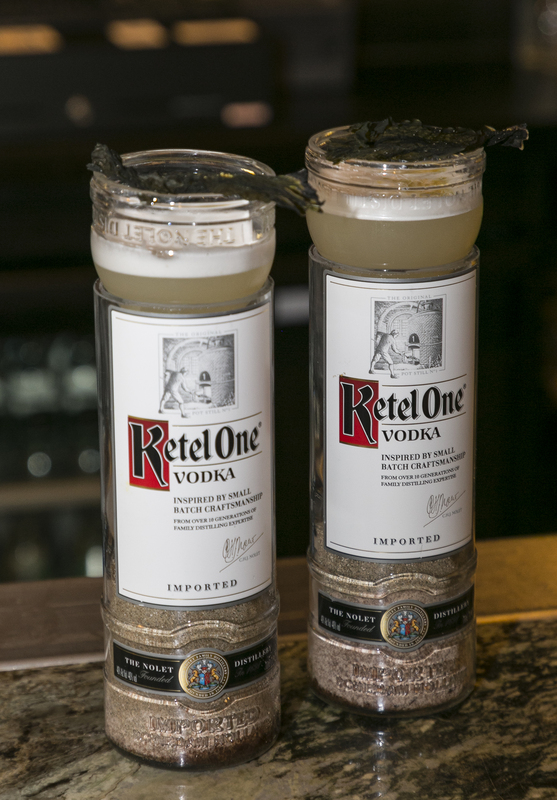 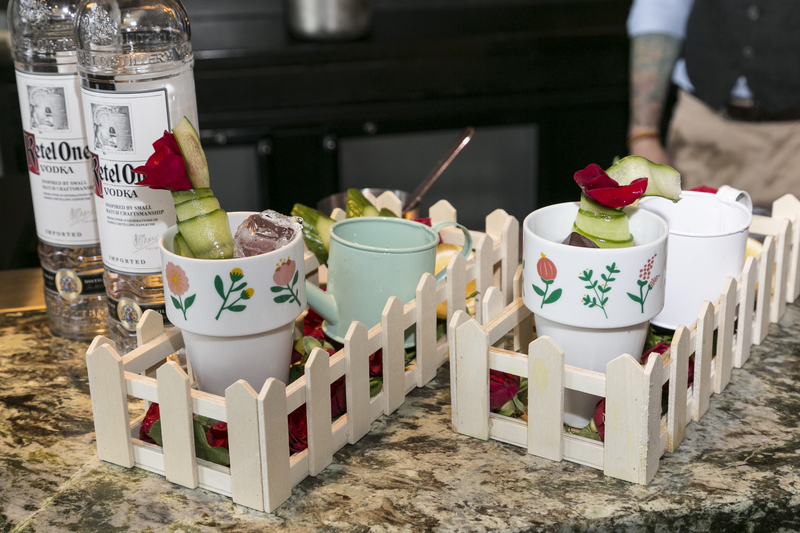 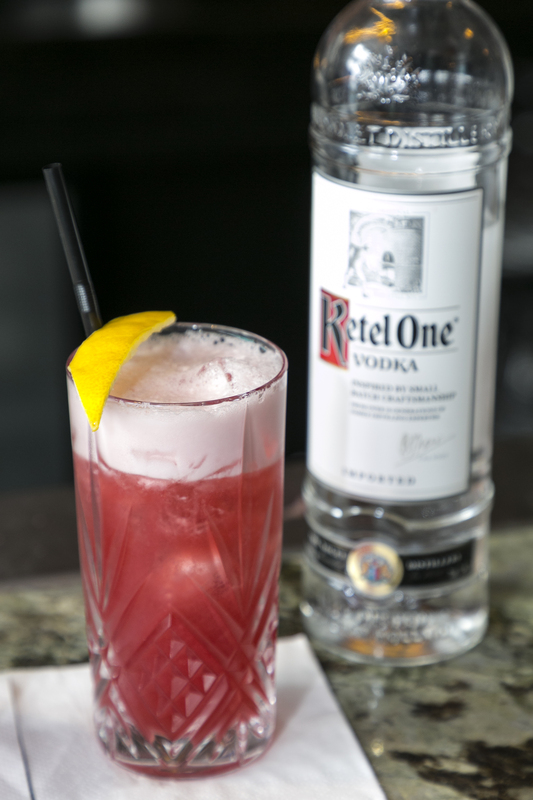 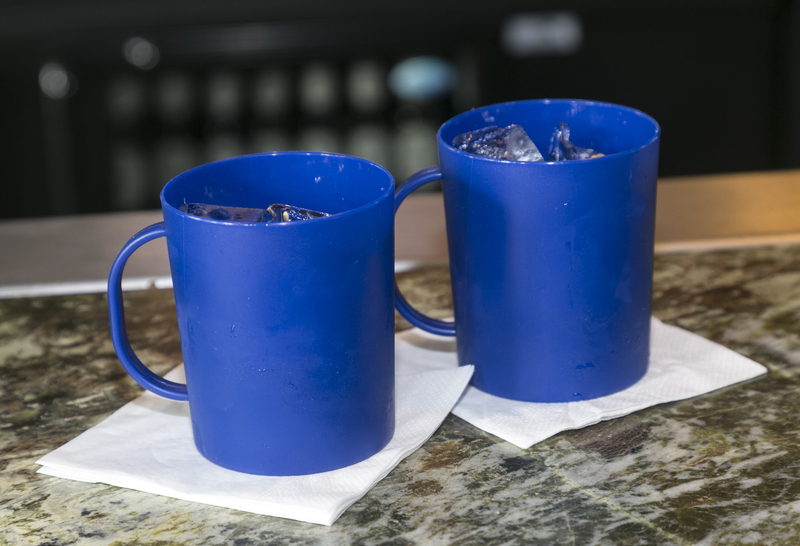 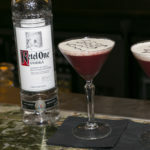 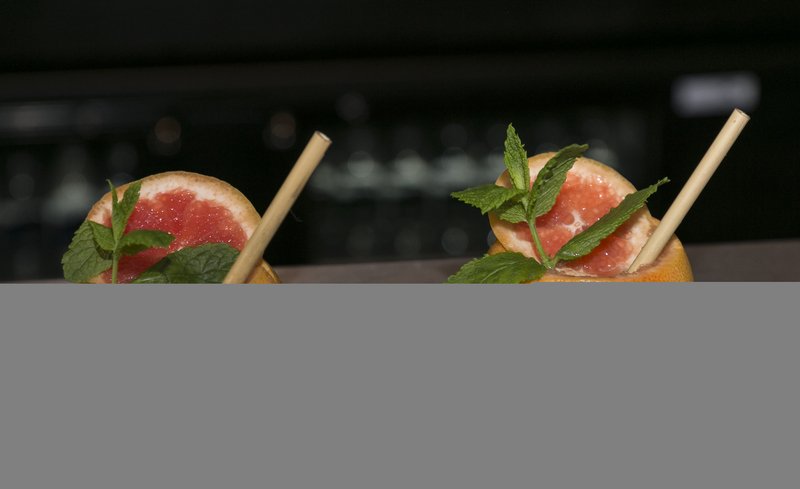 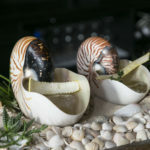 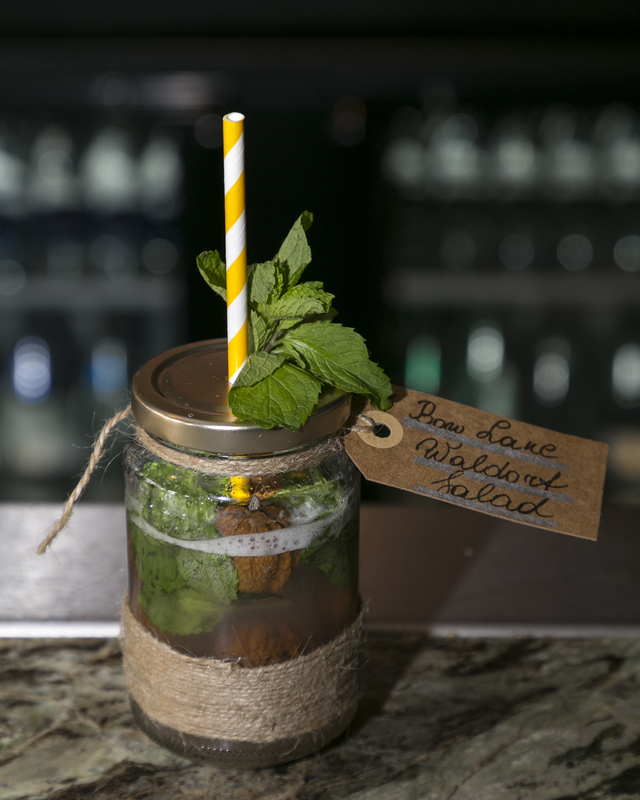 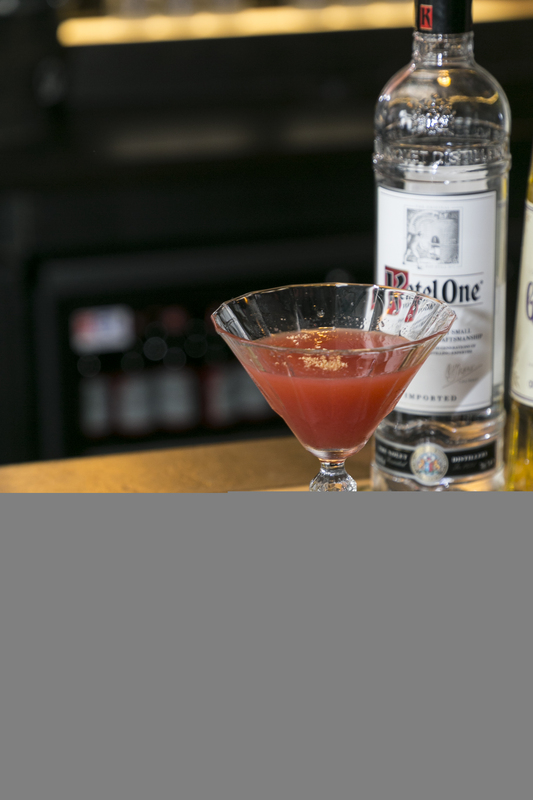 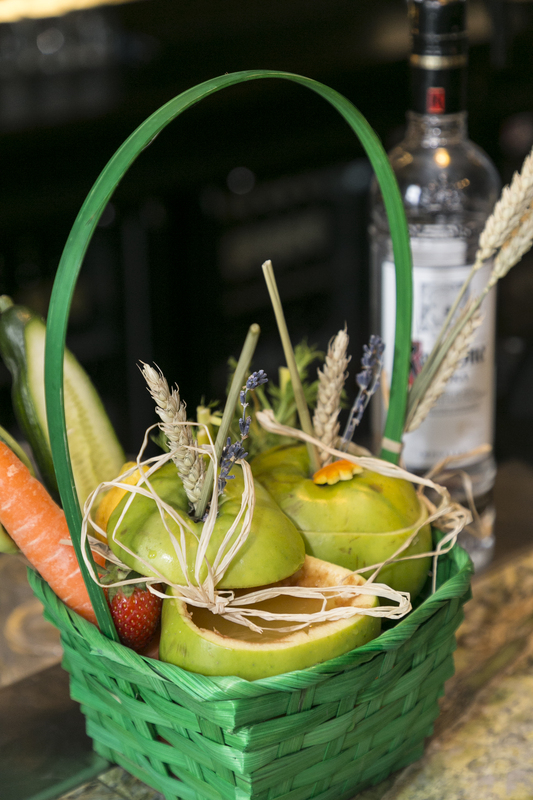 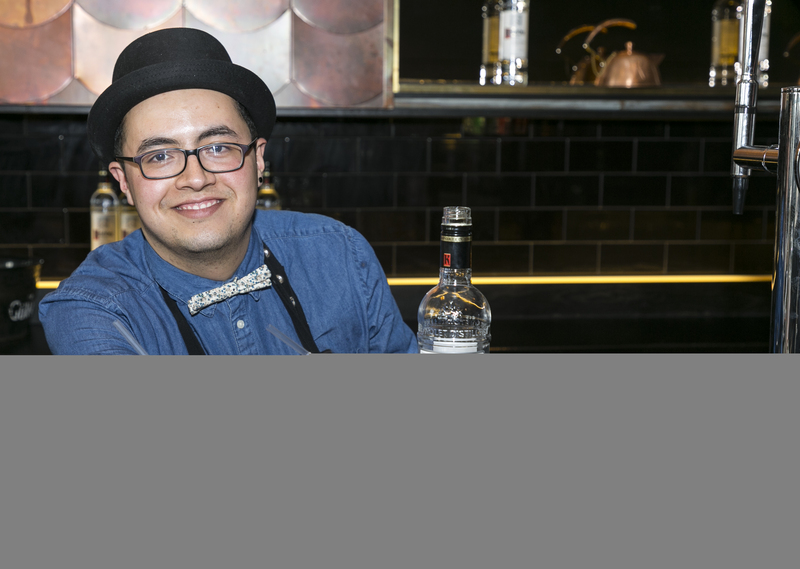 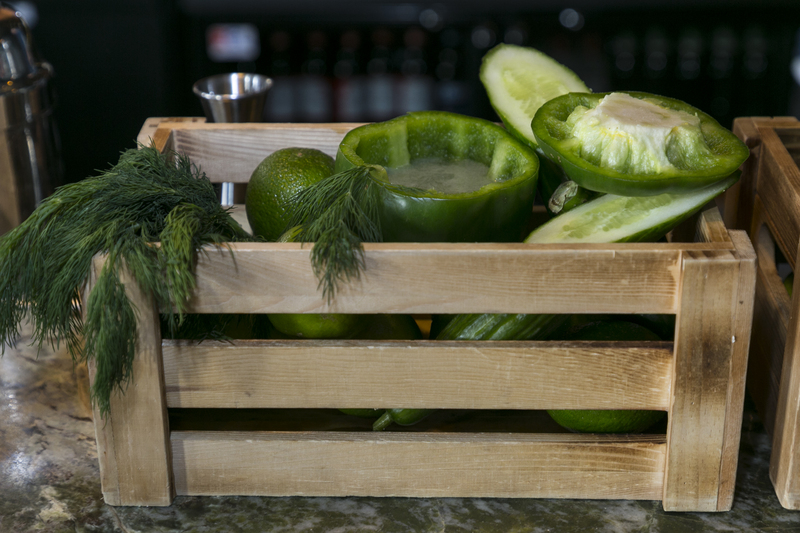 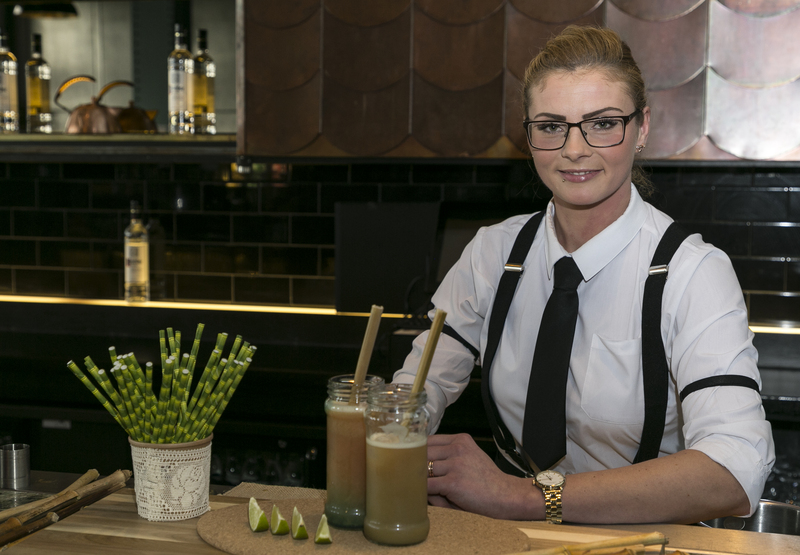 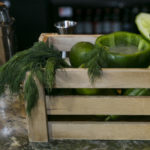 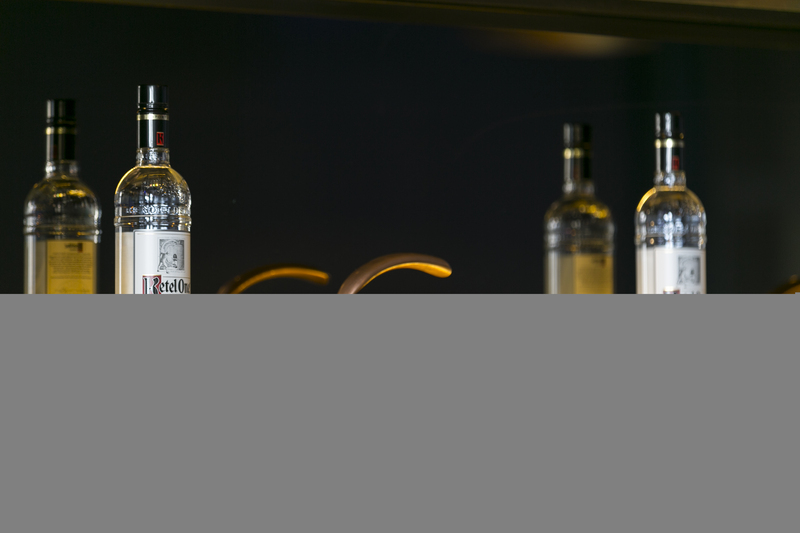 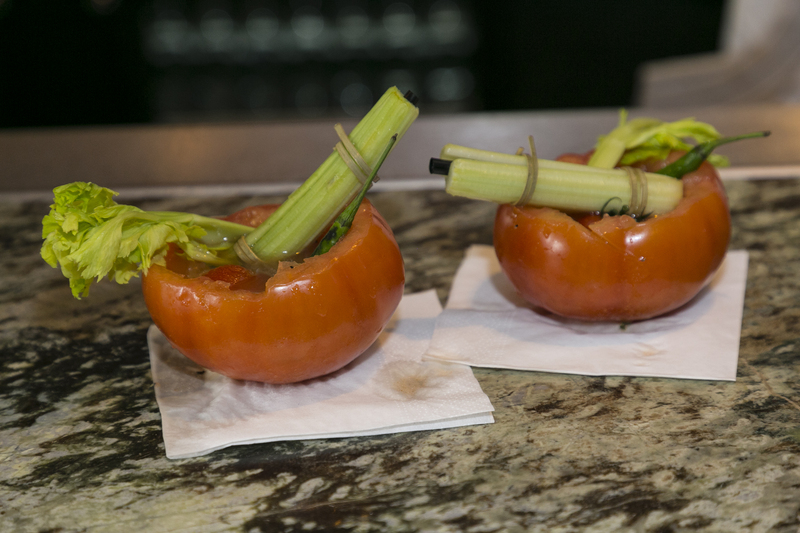 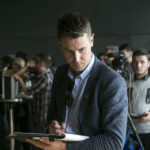 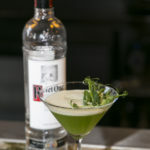 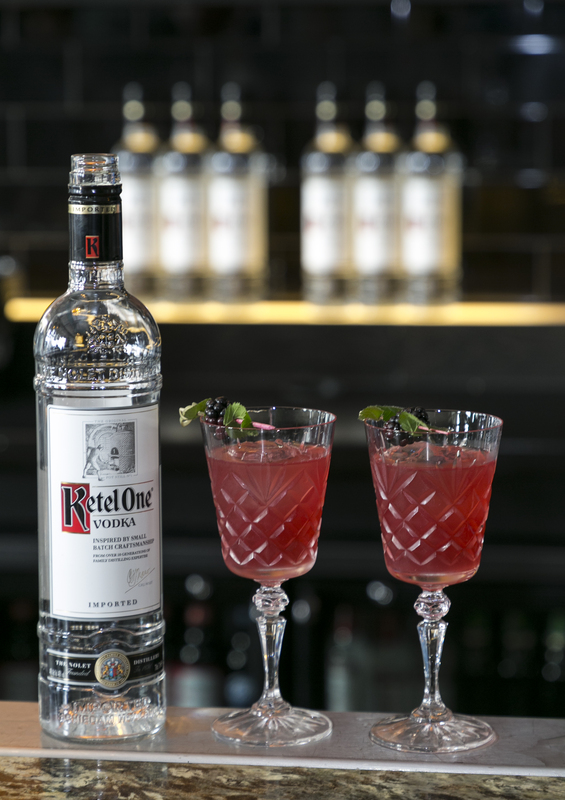 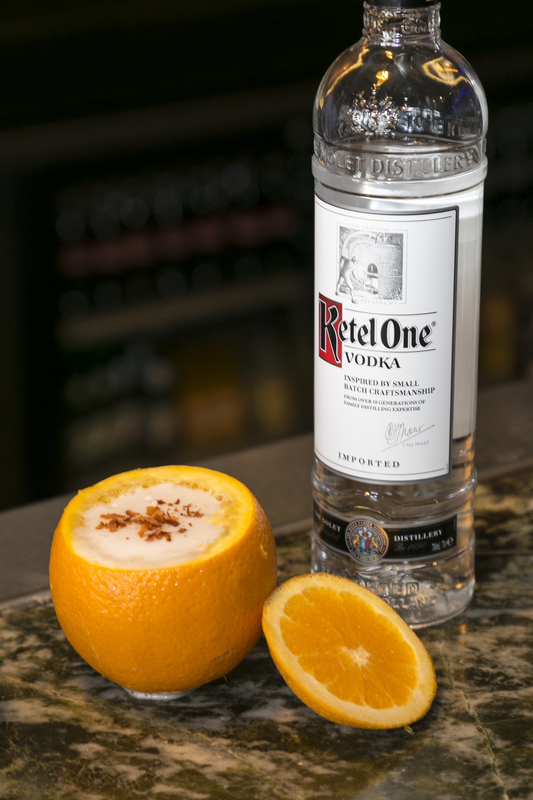 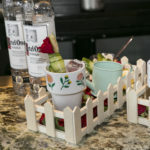 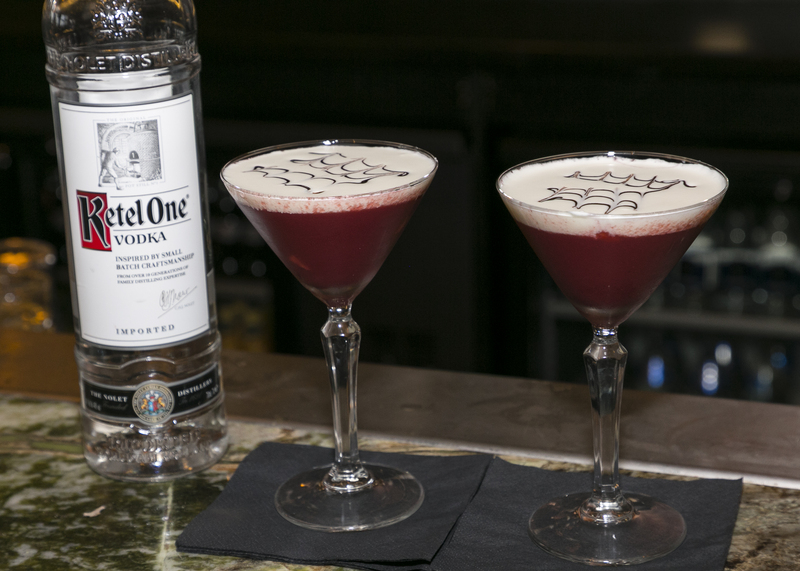 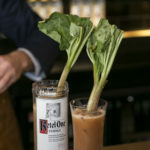 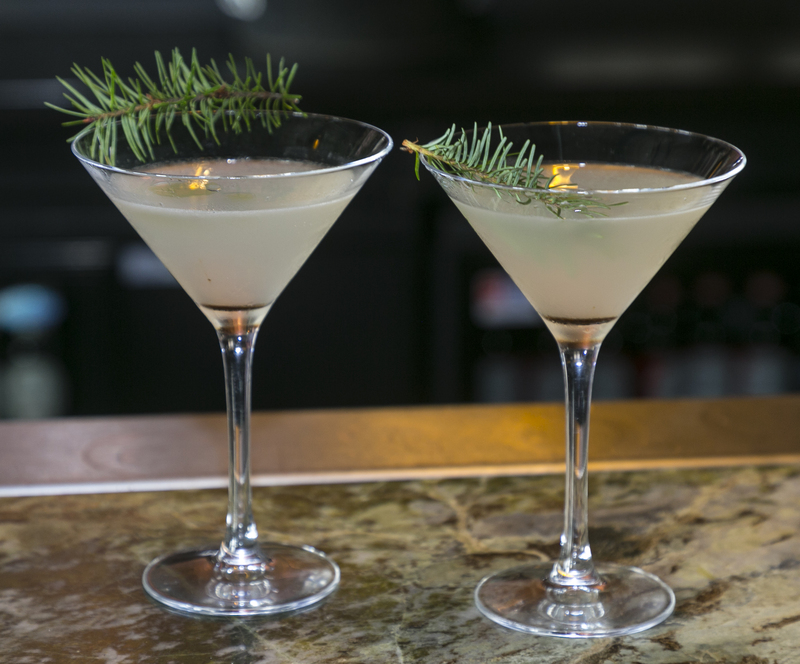 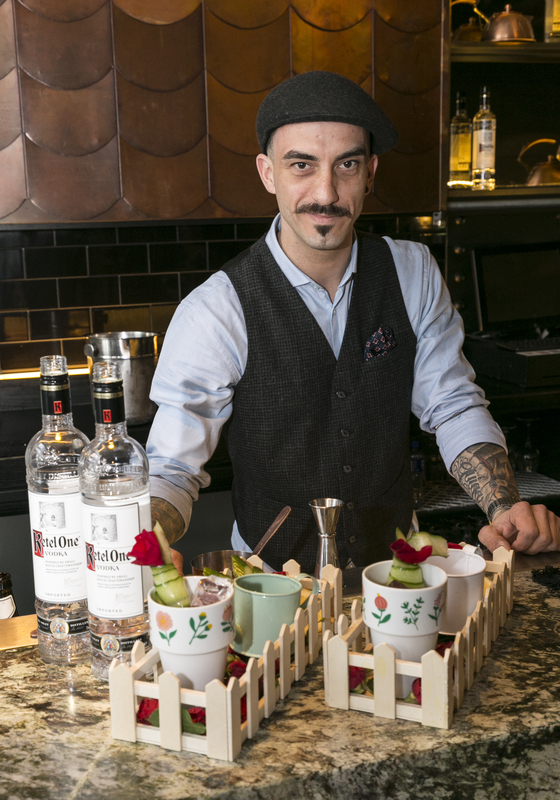 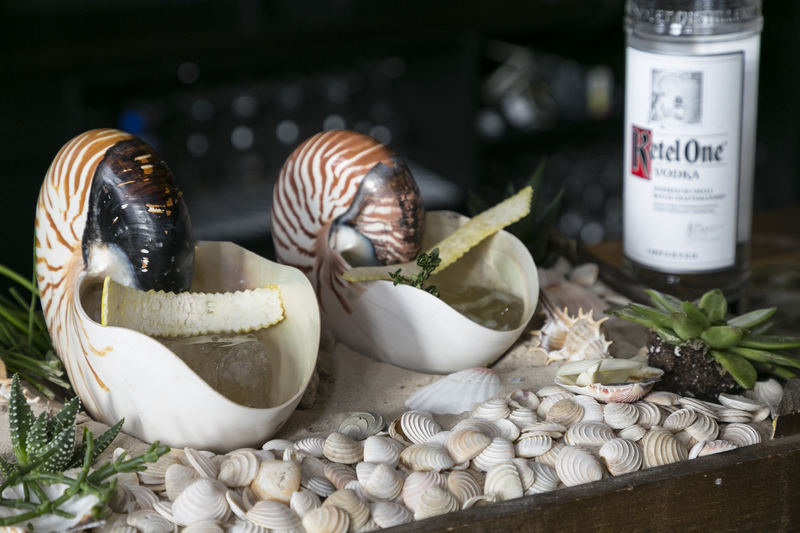 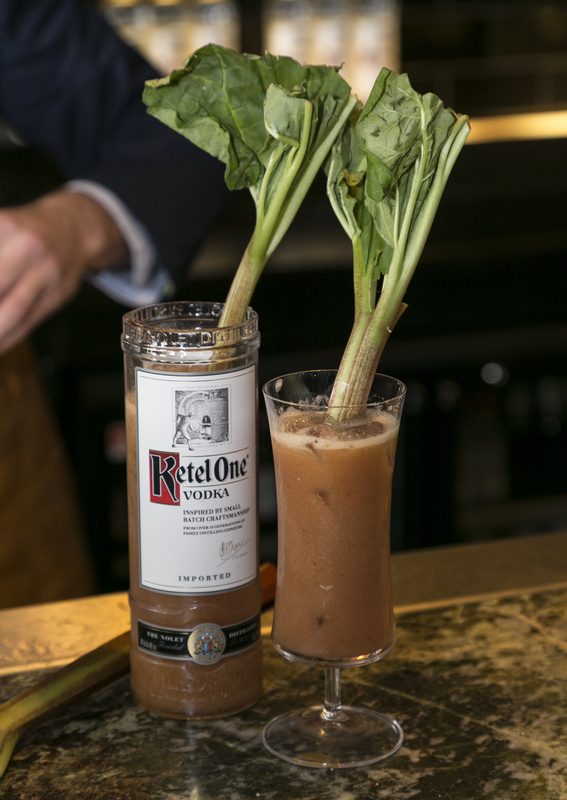 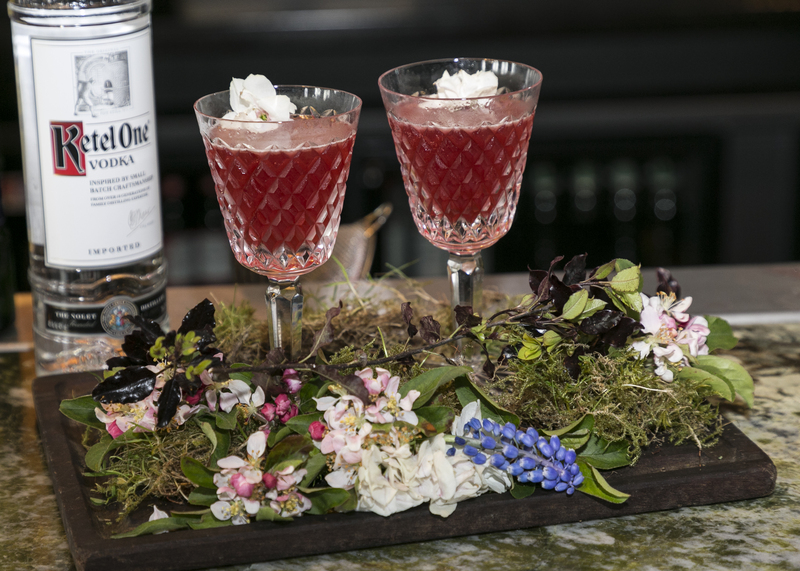 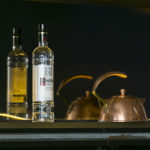 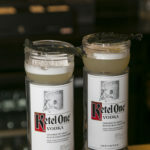 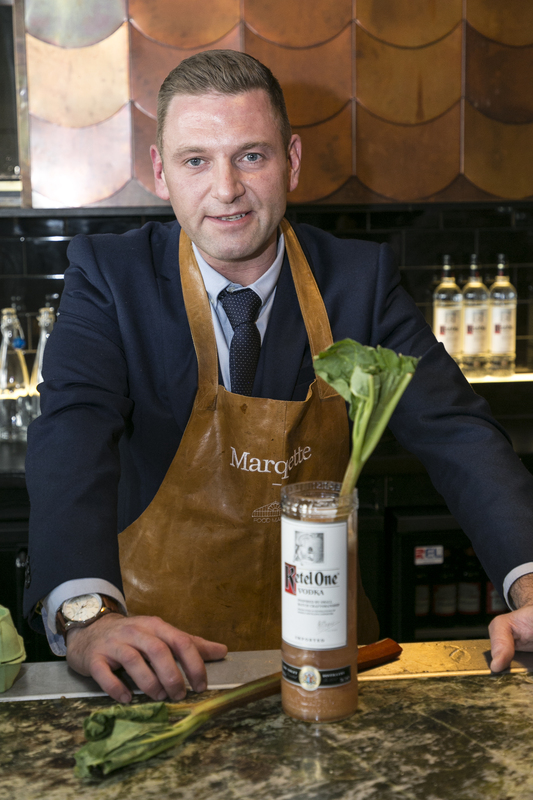 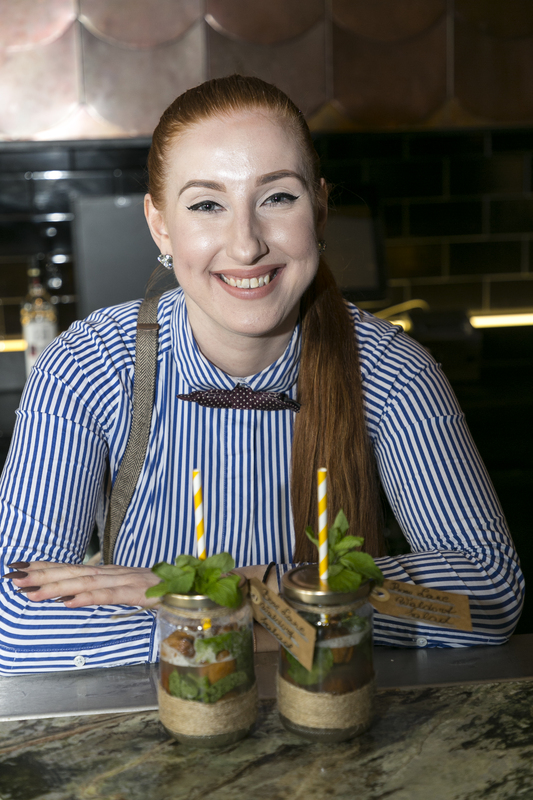 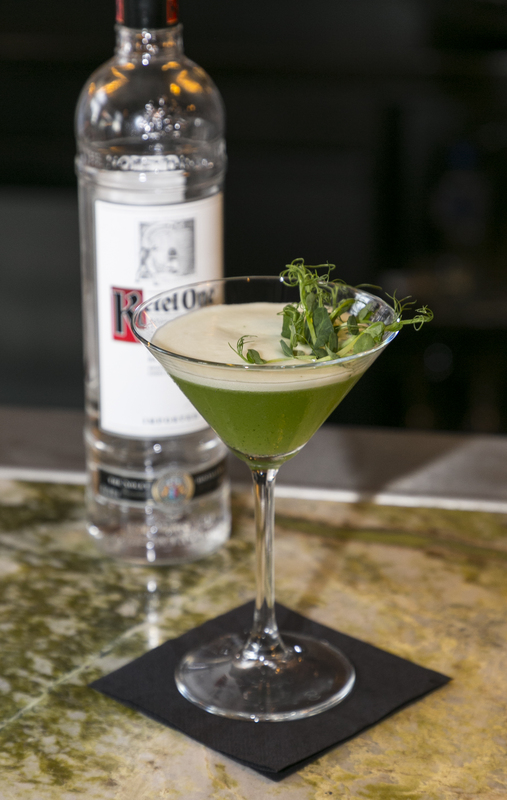 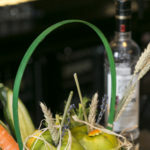 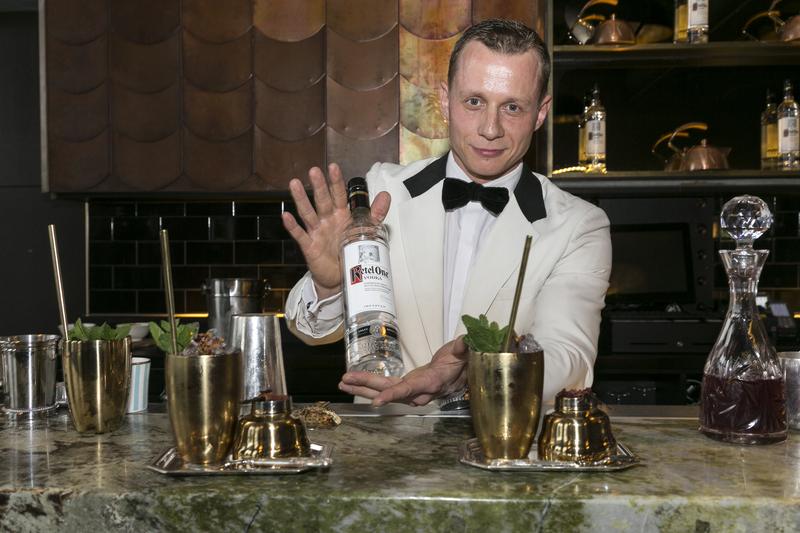 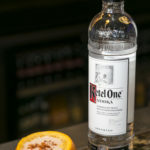 The competition was sponsored by Ketel One Vodka and had a theme of “Sustainability”. 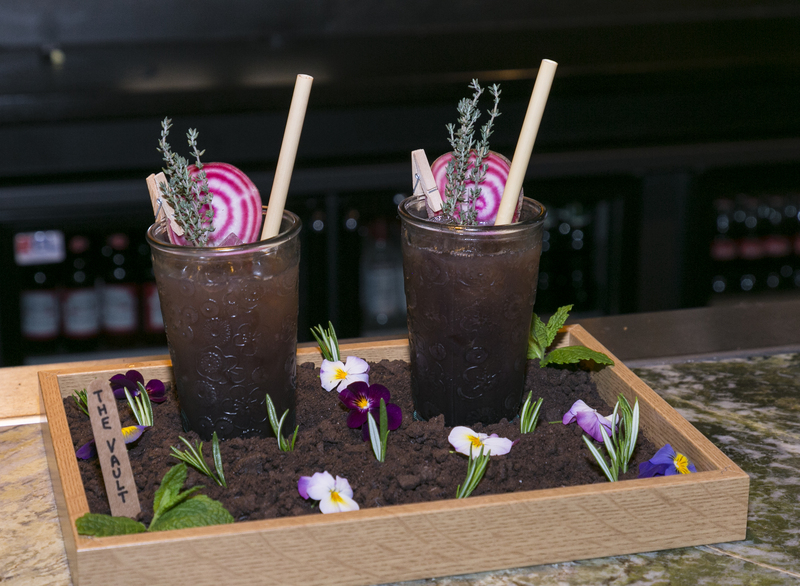 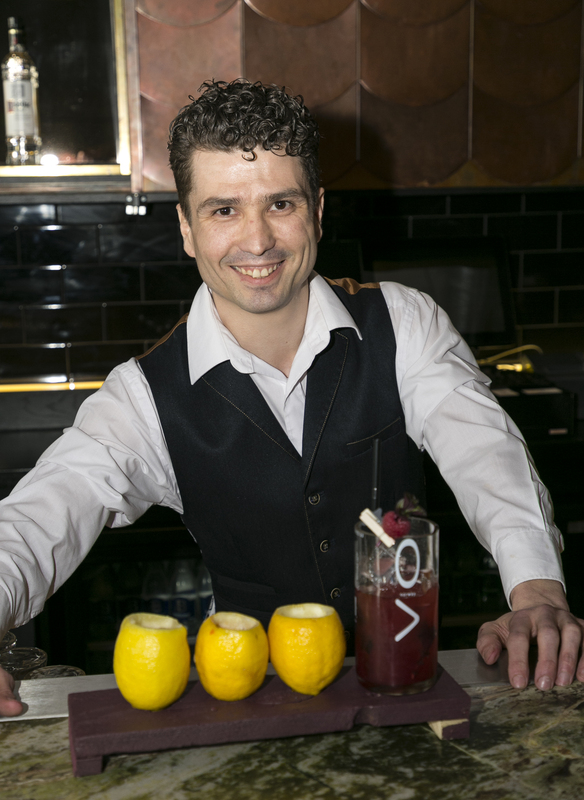 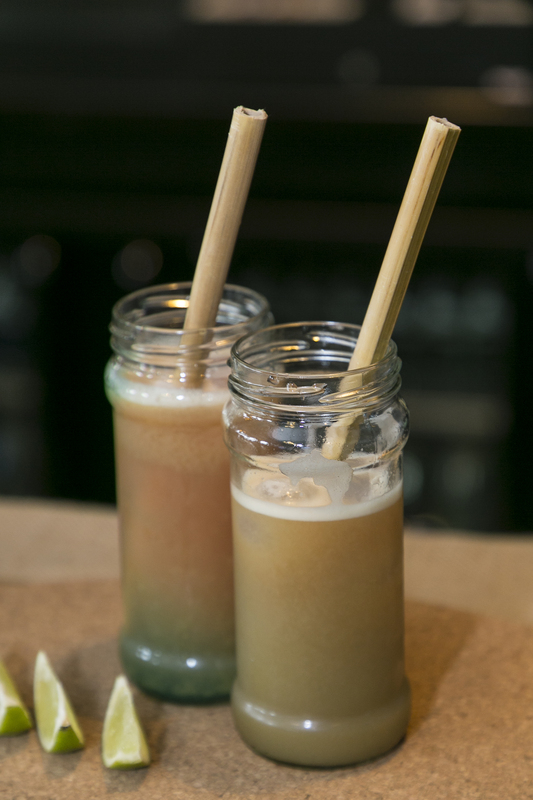 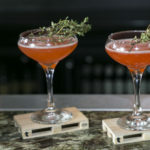 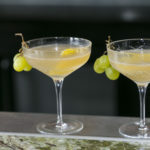 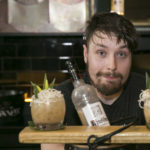 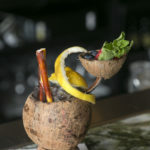 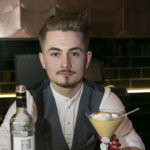 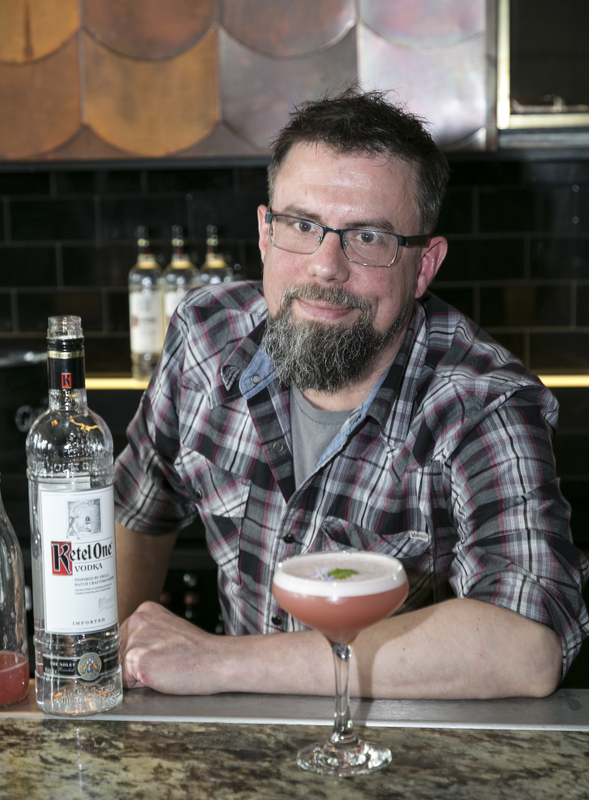 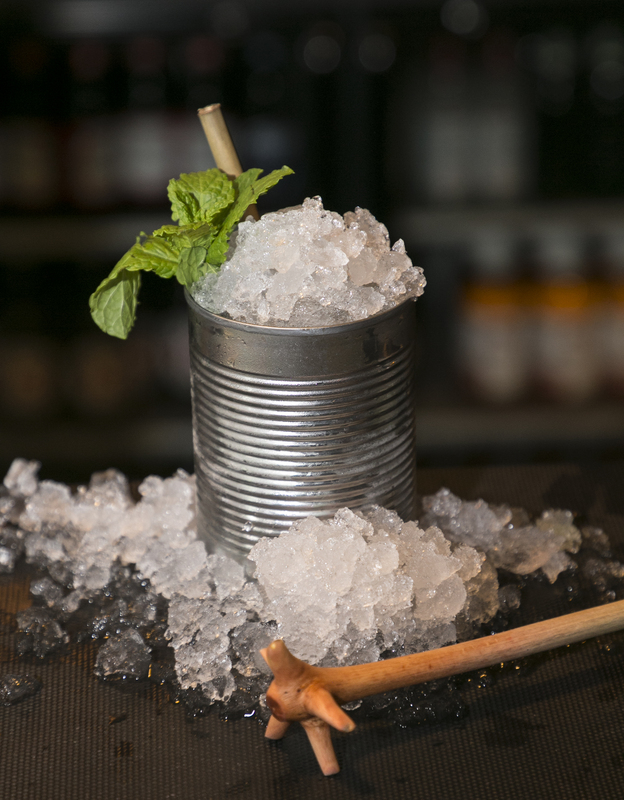 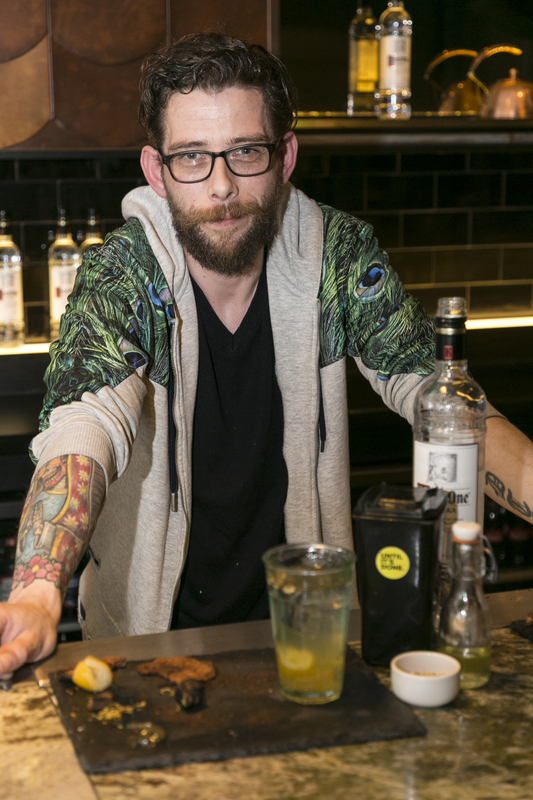 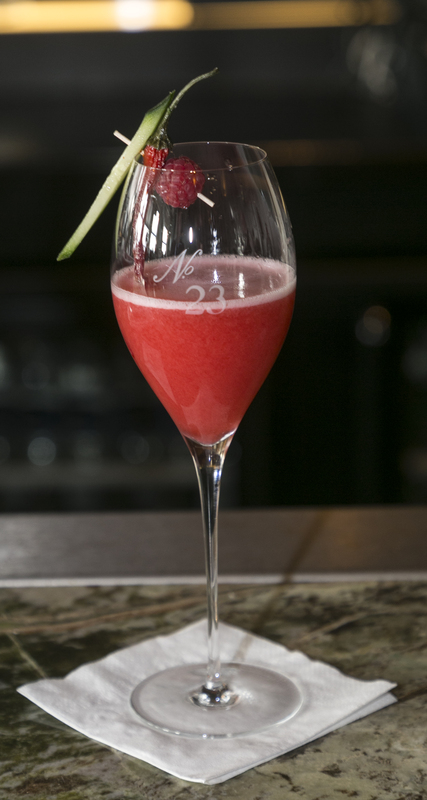 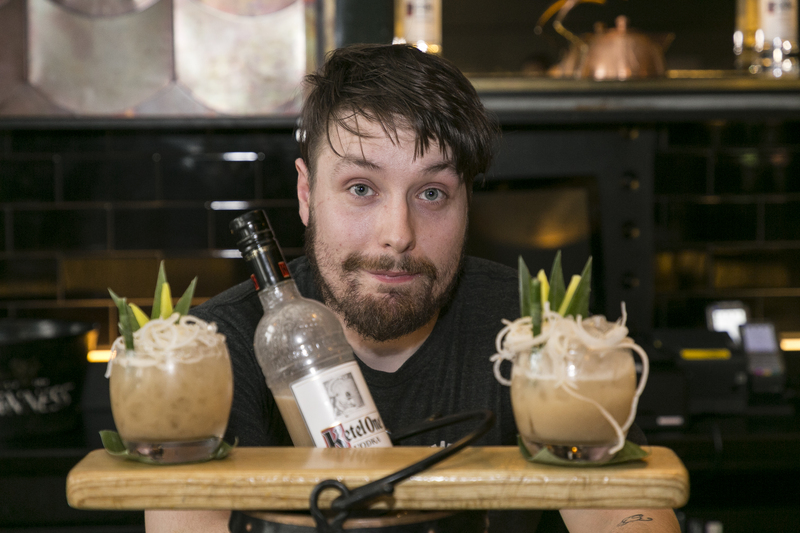 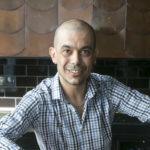 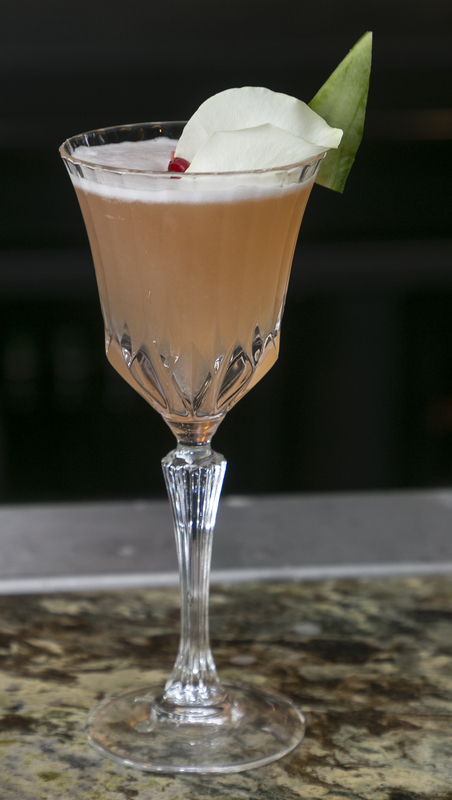 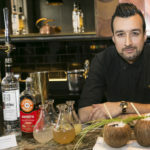 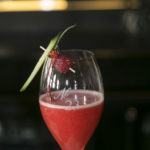 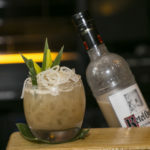 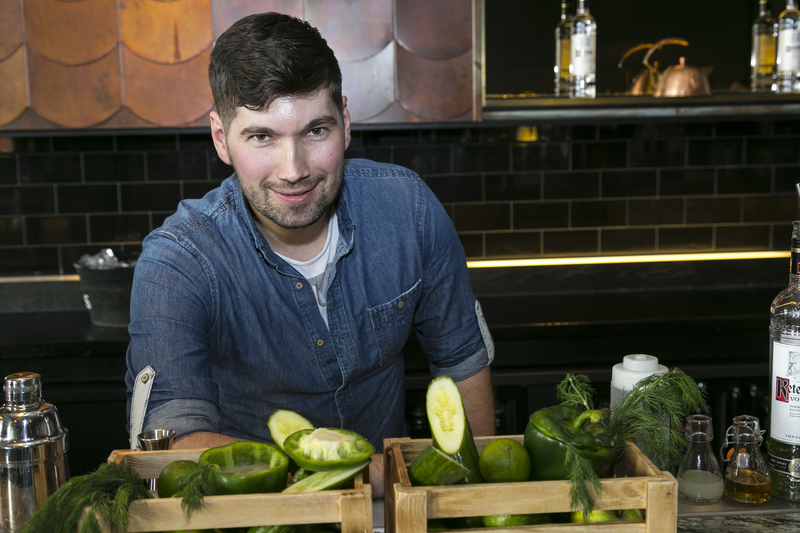 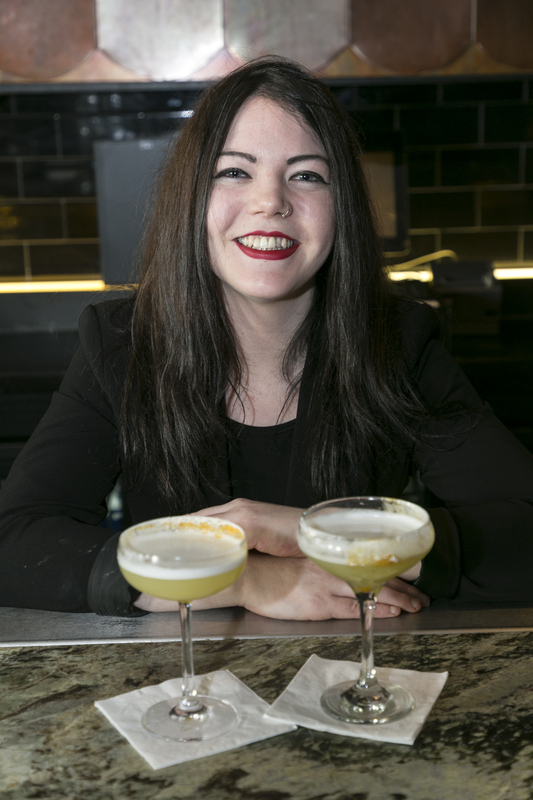 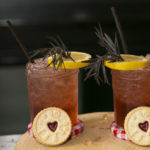 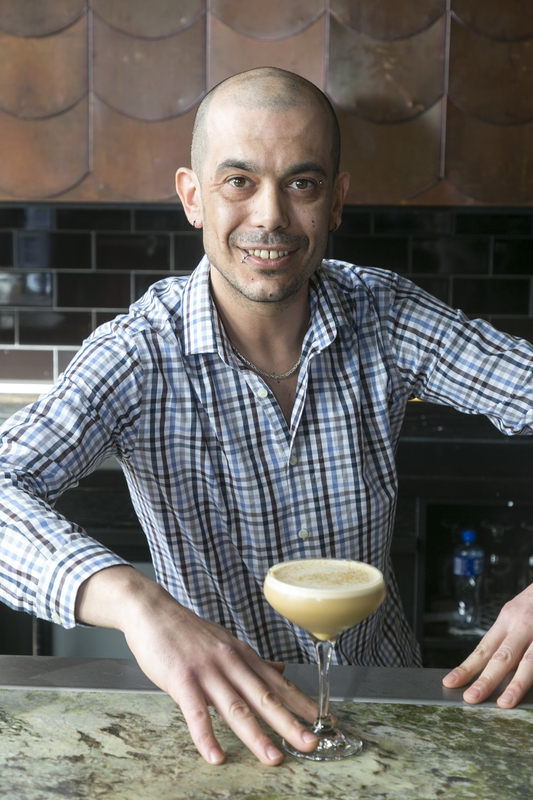 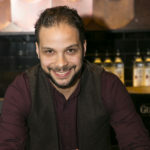 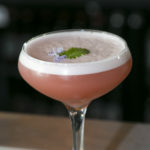 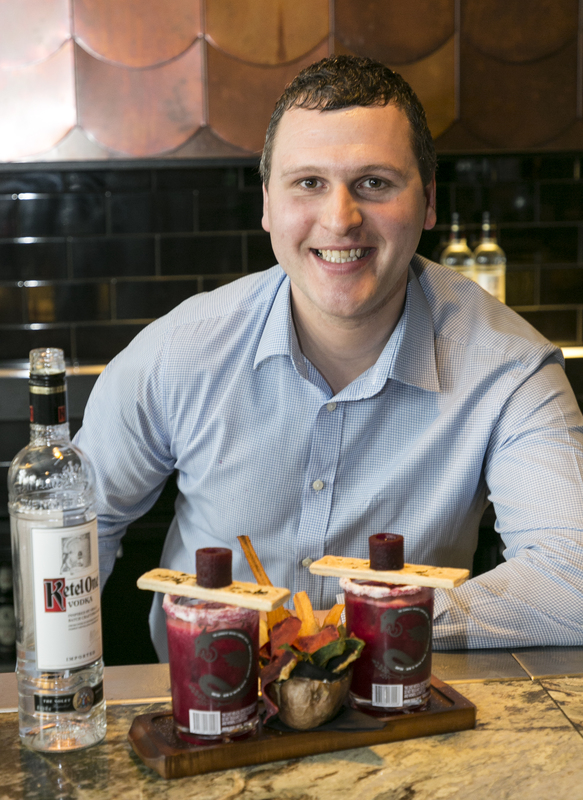 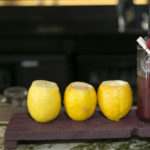 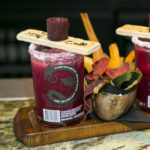 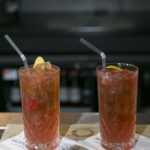 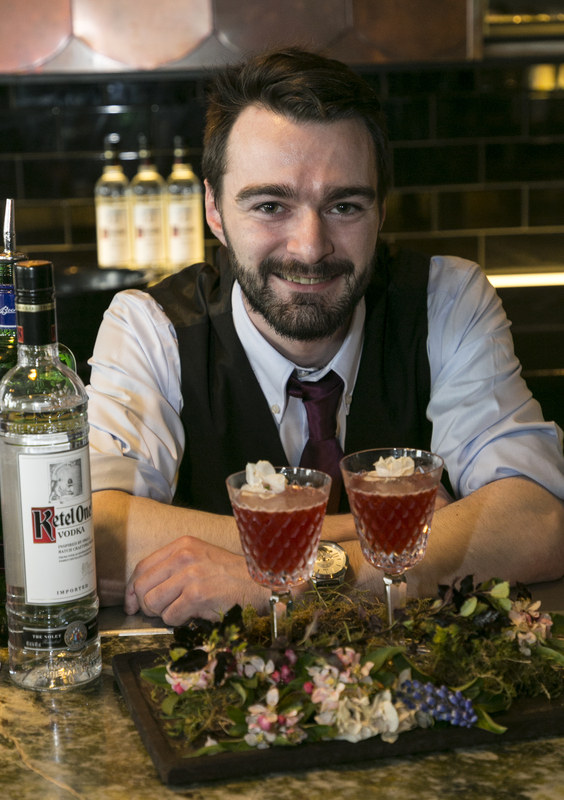 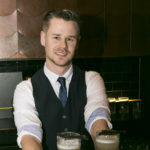 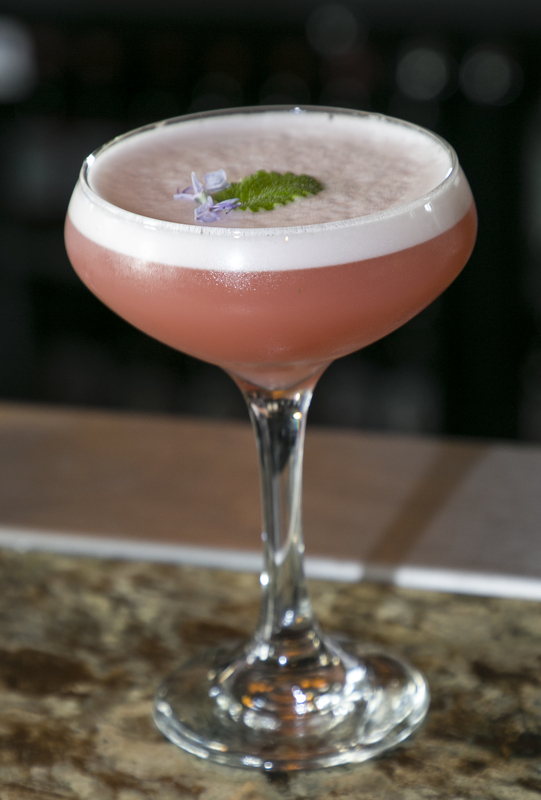 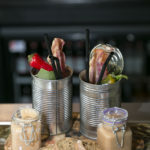 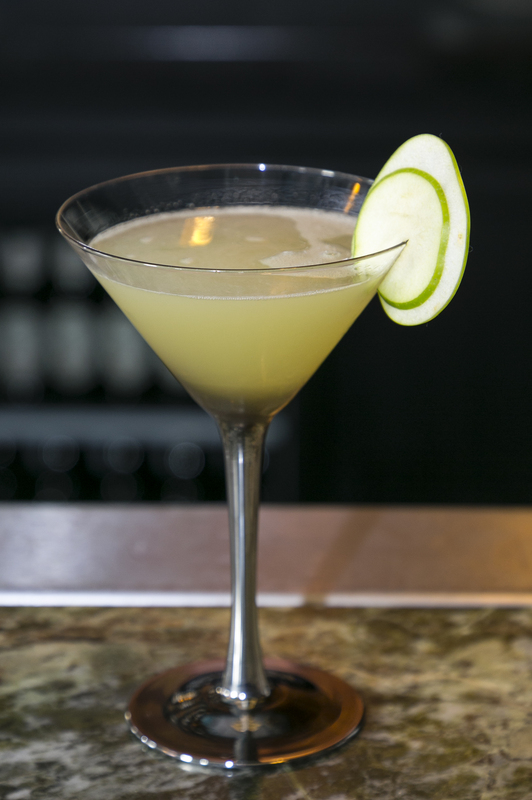 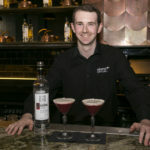 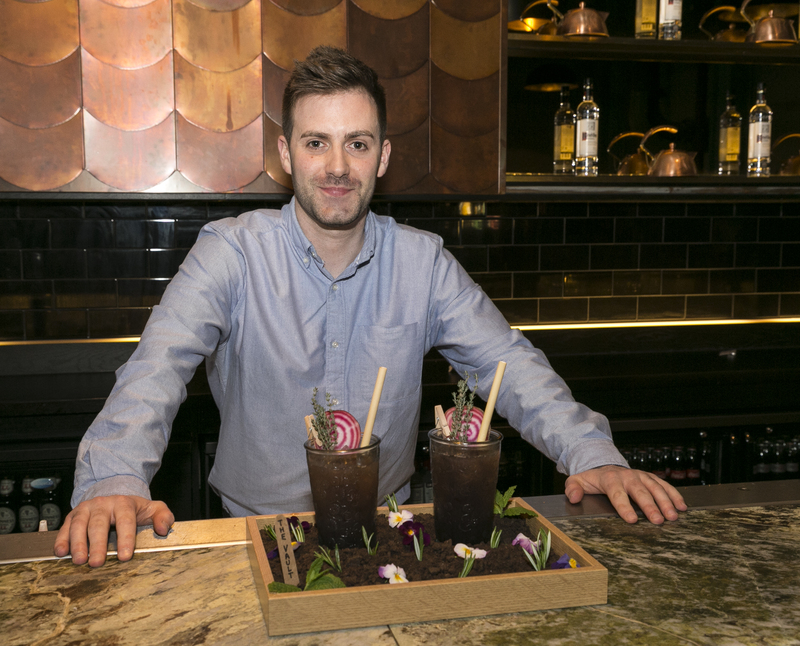 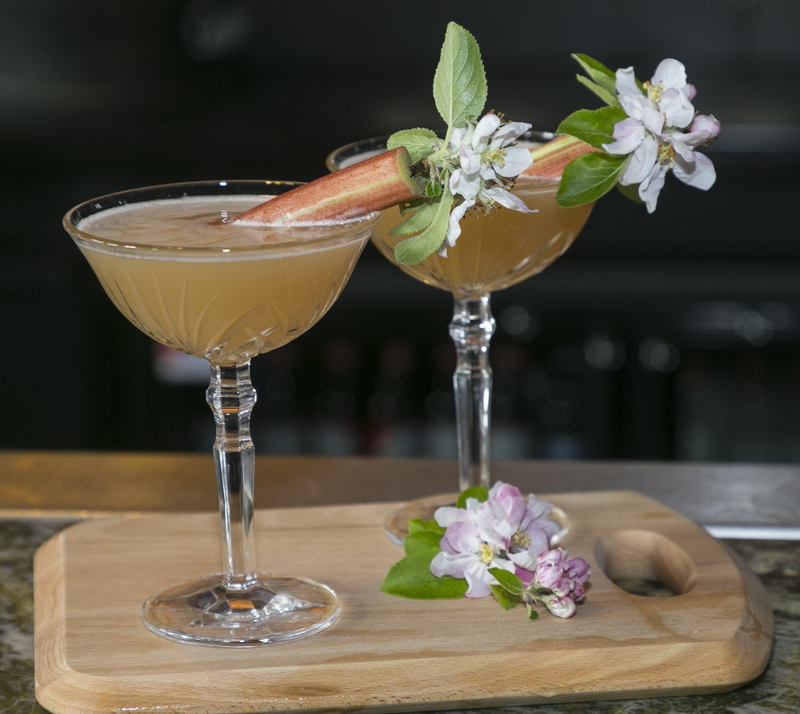 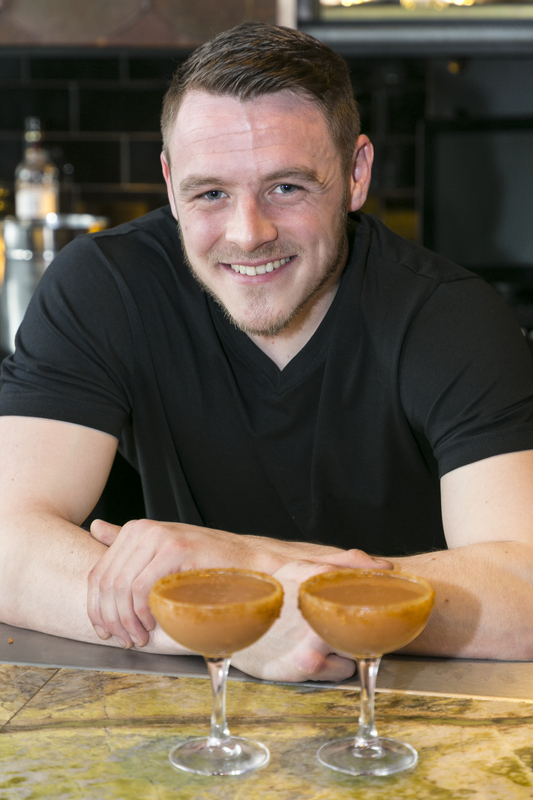 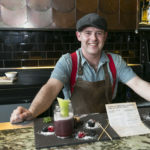 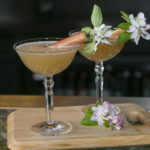 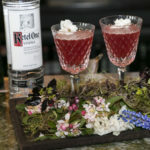 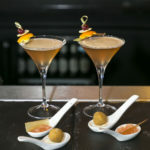 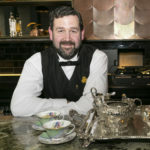 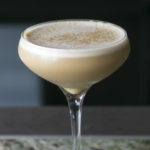 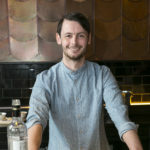 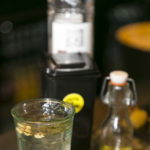 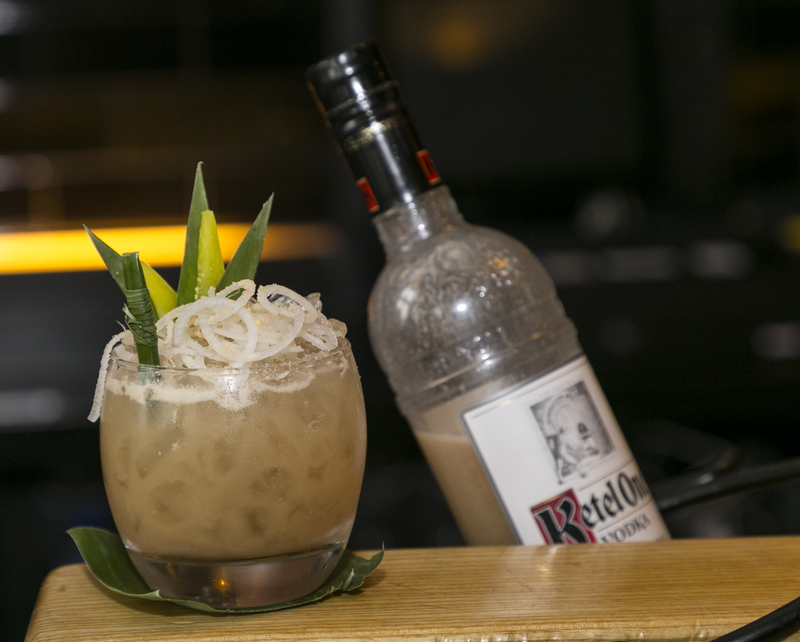 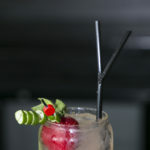 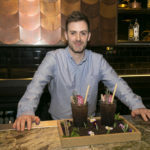 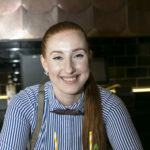 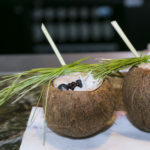 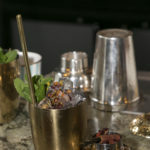 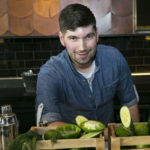 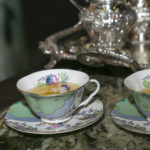 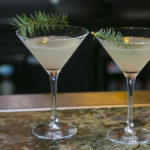 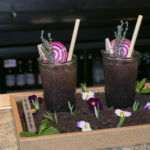 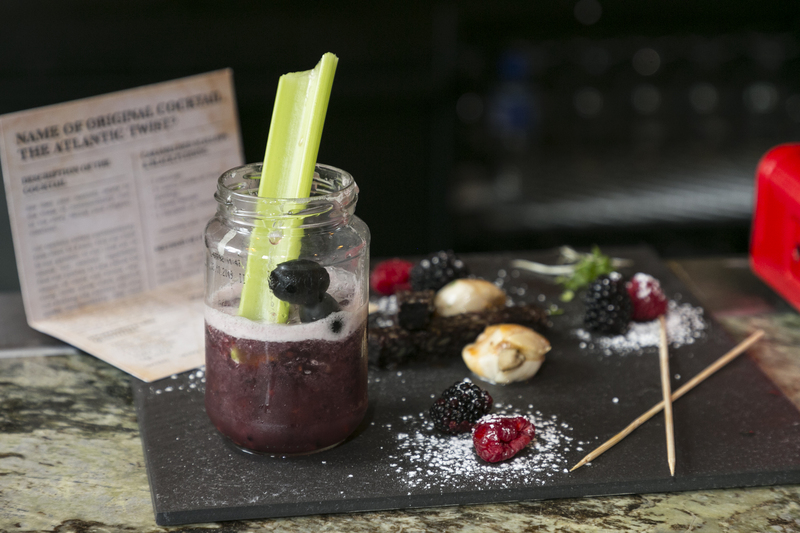 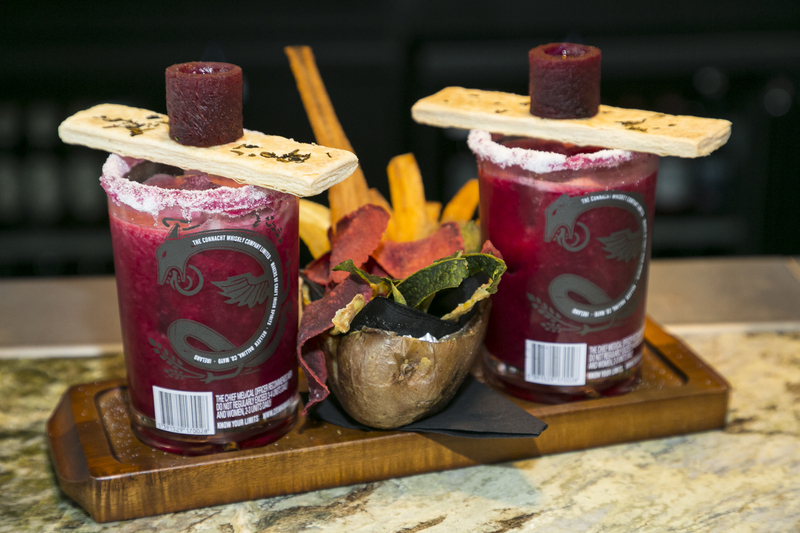 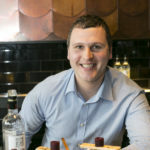 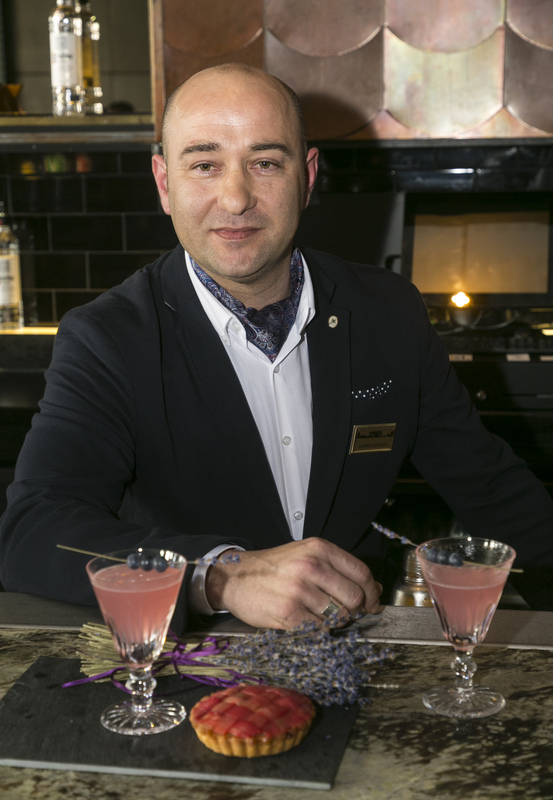 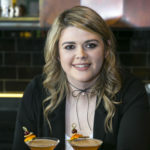 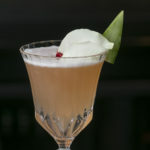 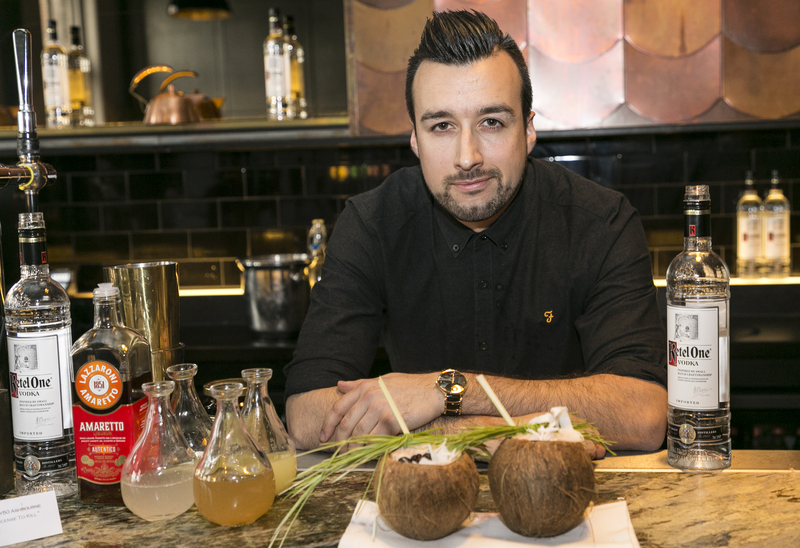 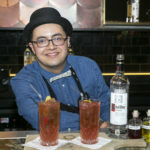 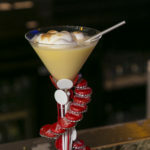 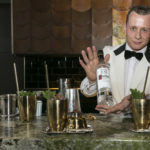 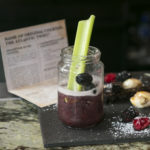 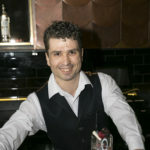 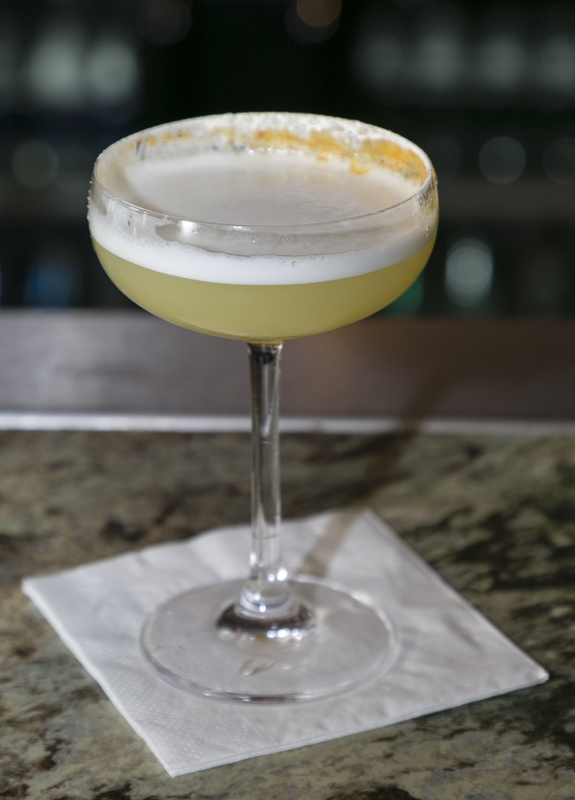 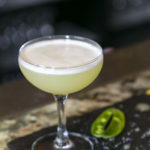 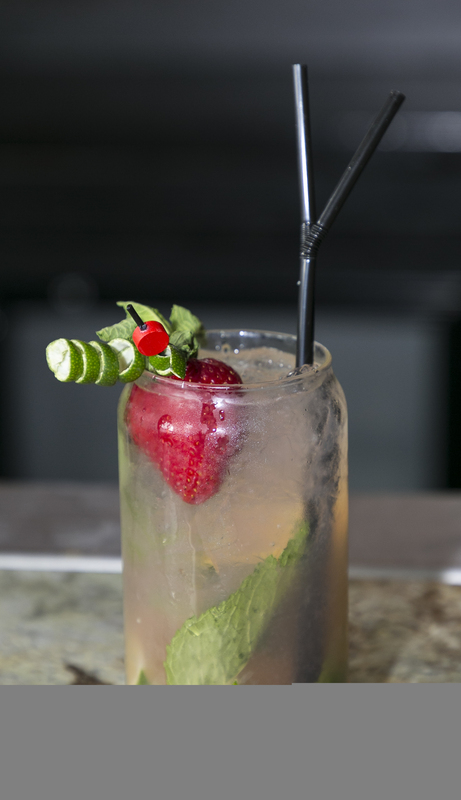 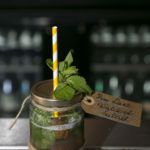 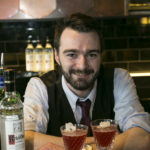 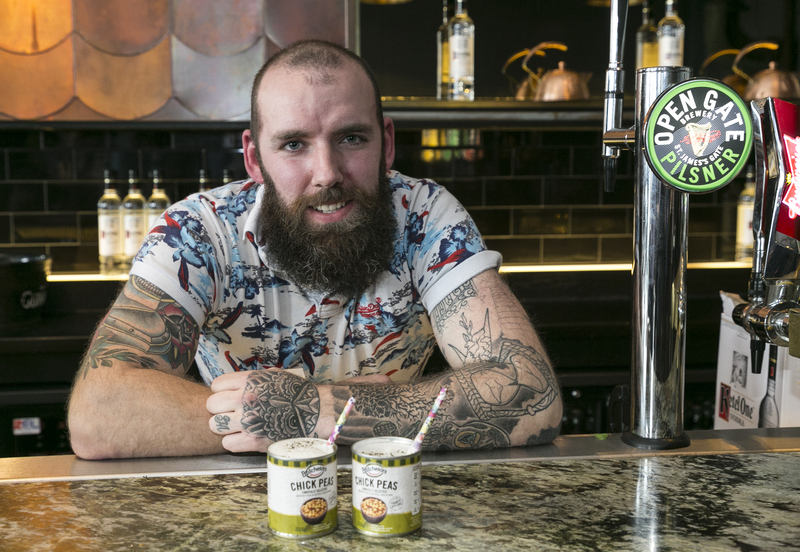 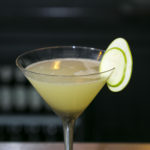 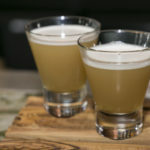 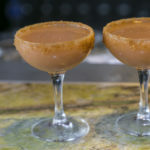 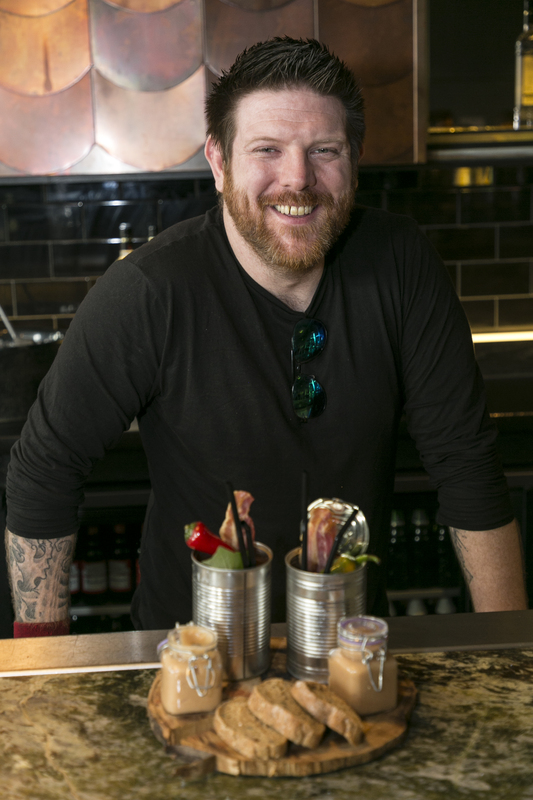 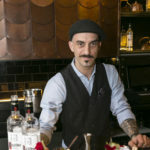 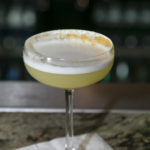 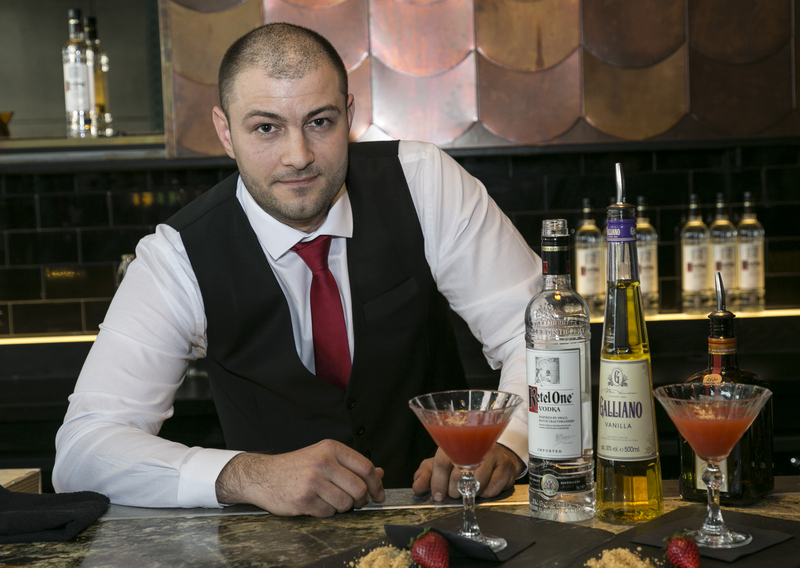 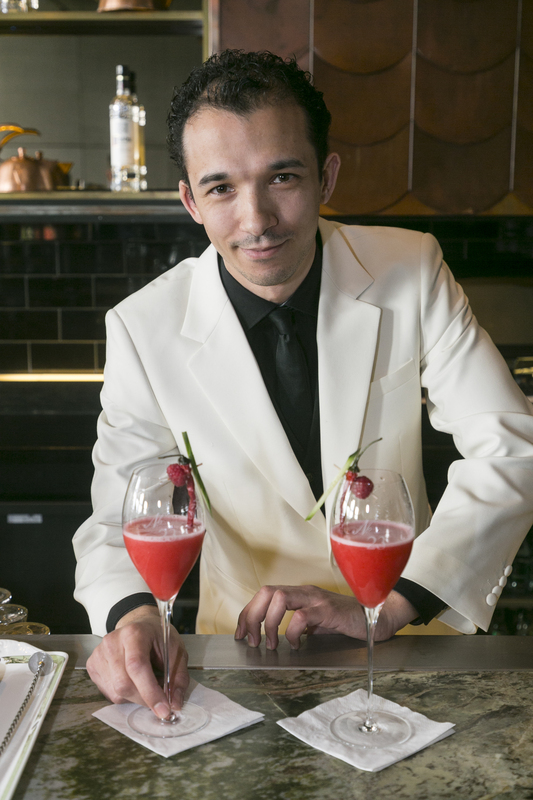 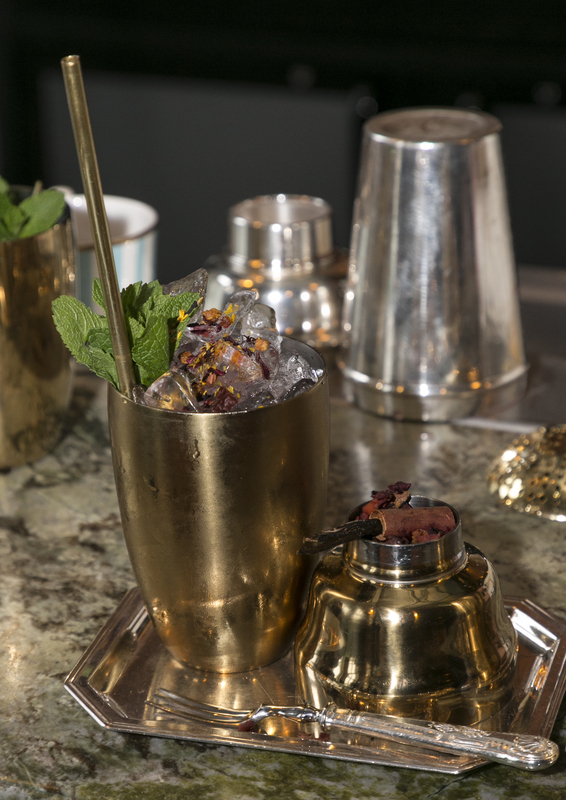 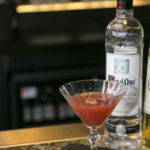 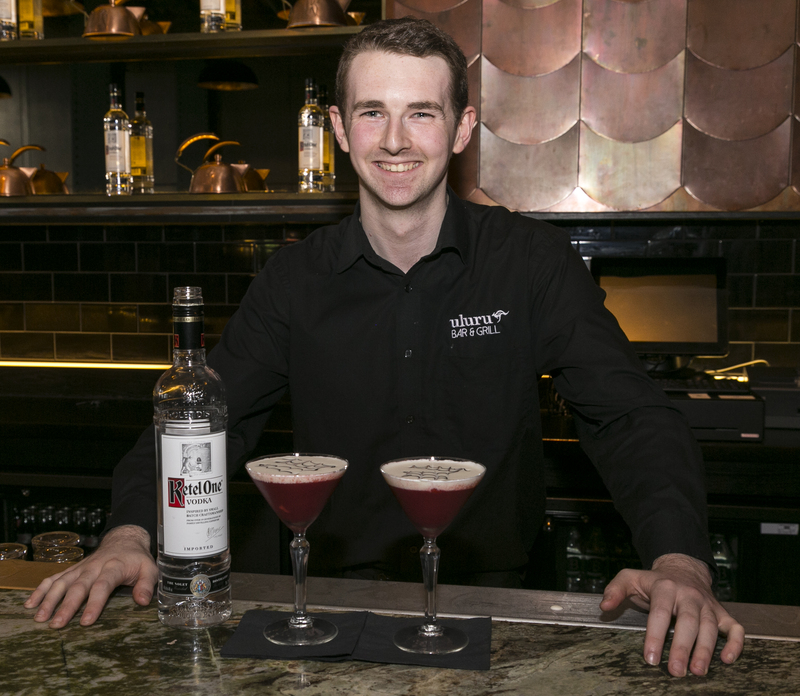 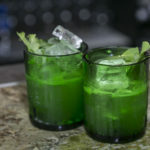 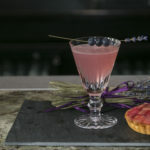 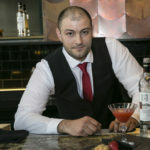 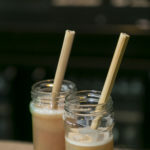 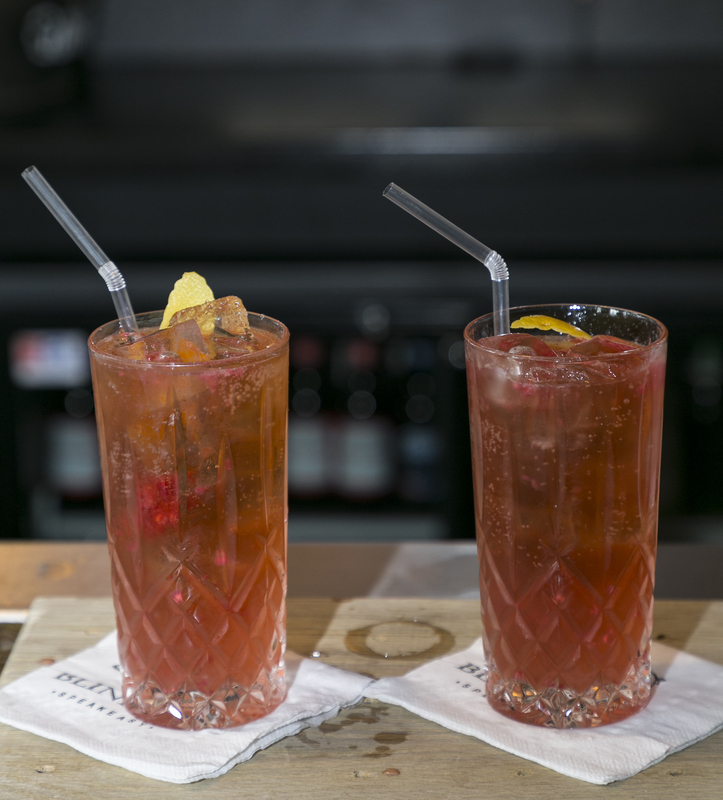 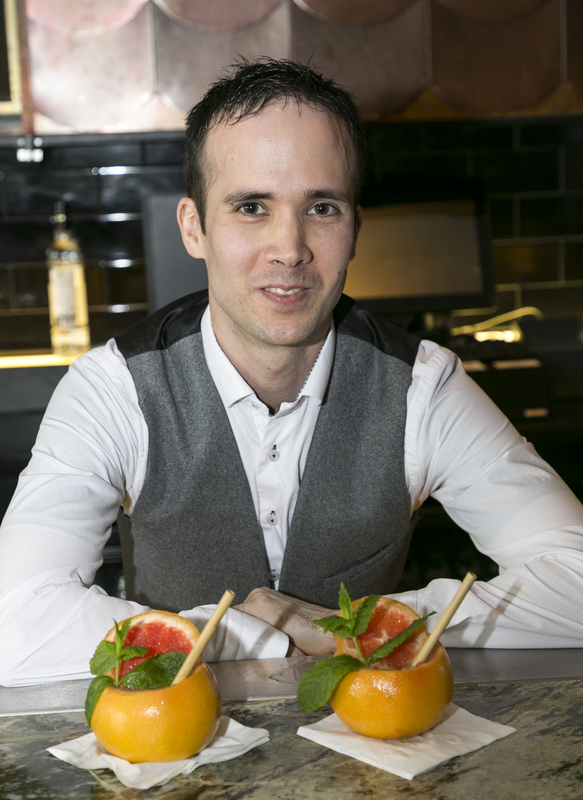 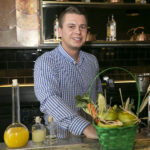 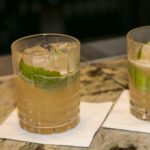 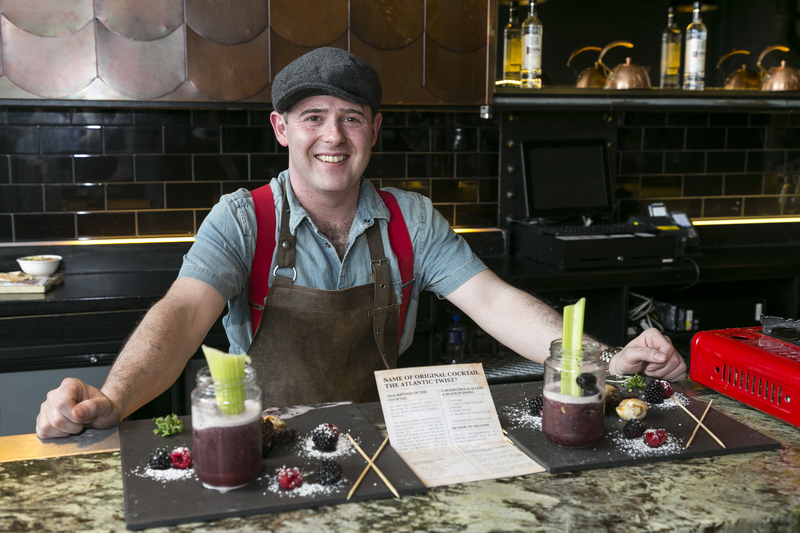 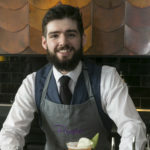 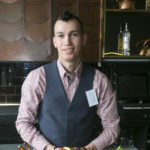 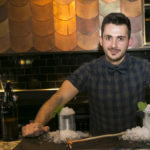 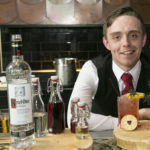 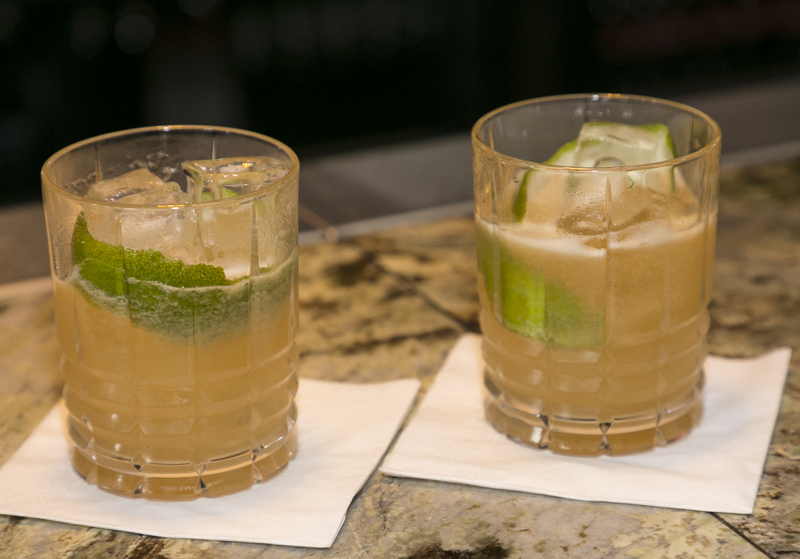 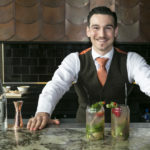 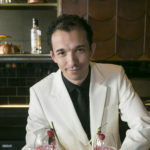 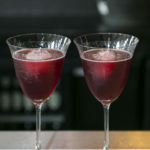 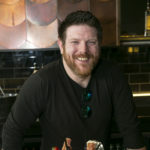 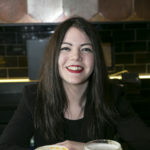 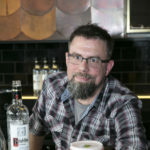 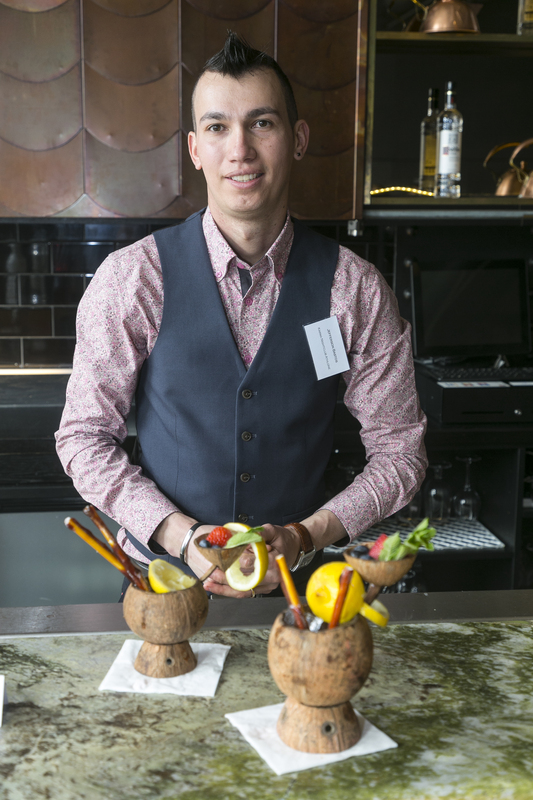 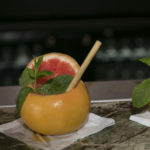 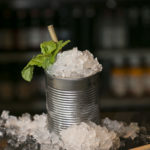 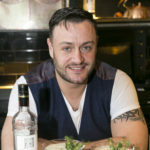 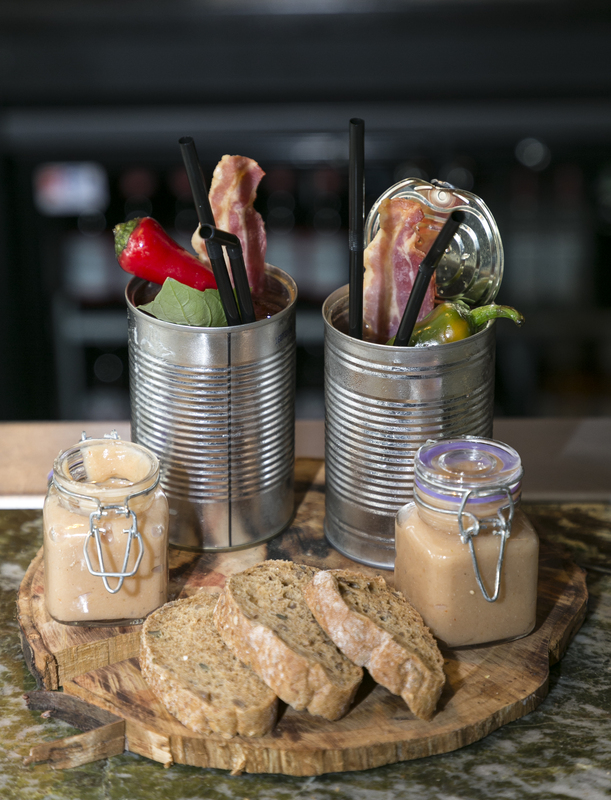 The winning cocktail was devised and mixed by Darren Geraghty of Candlelight Bar at Siam Thai Restaurant Dundrum. 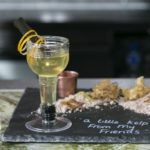 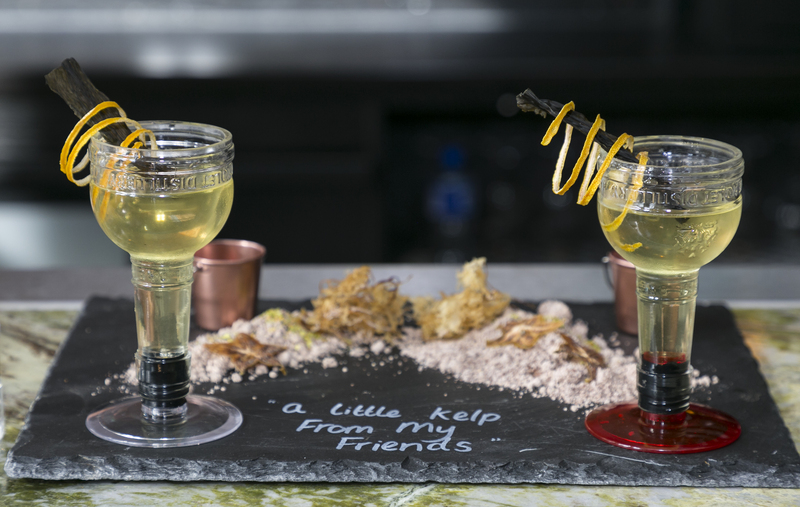 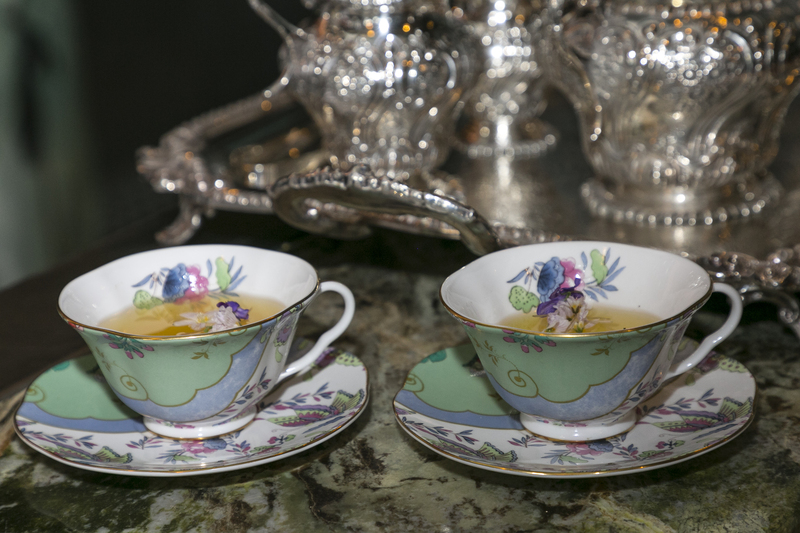 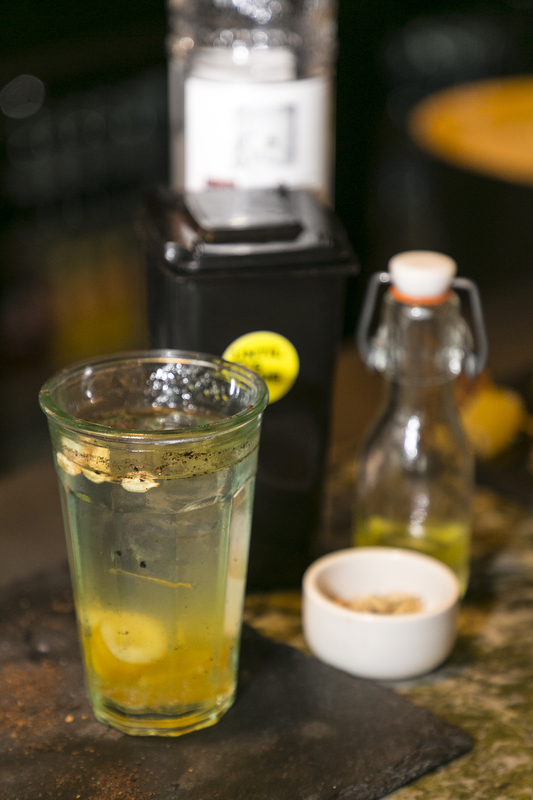 Named “A Little Kelp From My Friends” it included Homemade Seaweed Vermouth and was garnished with seaweed and dehydrated lemon zest. 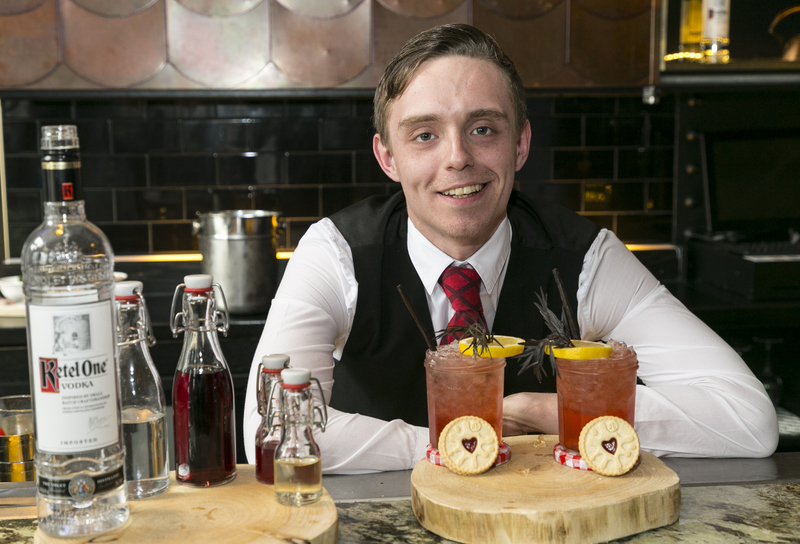 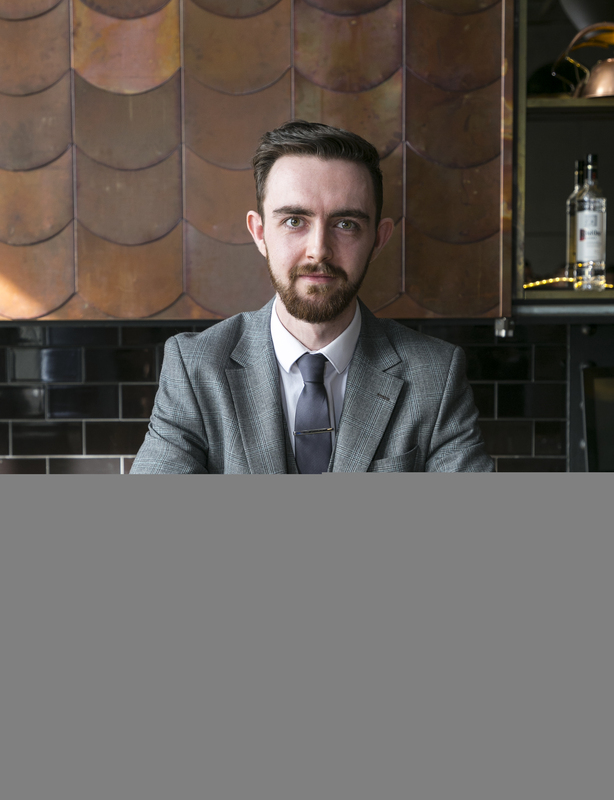 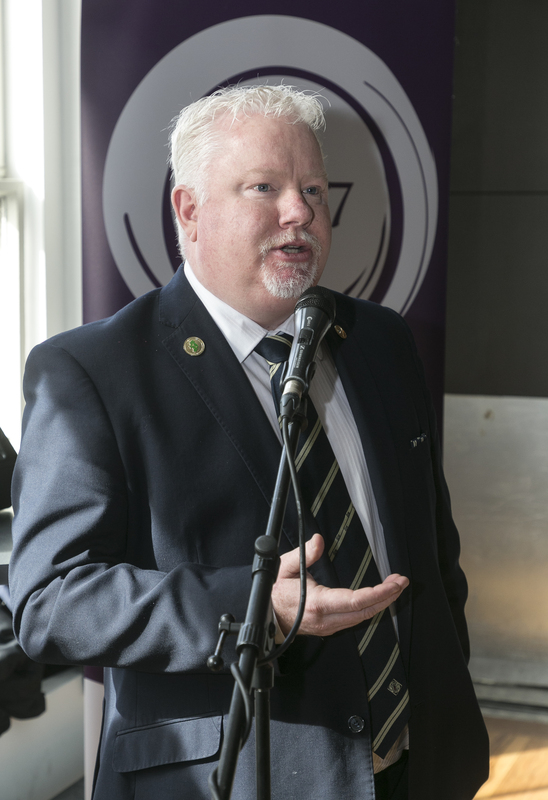 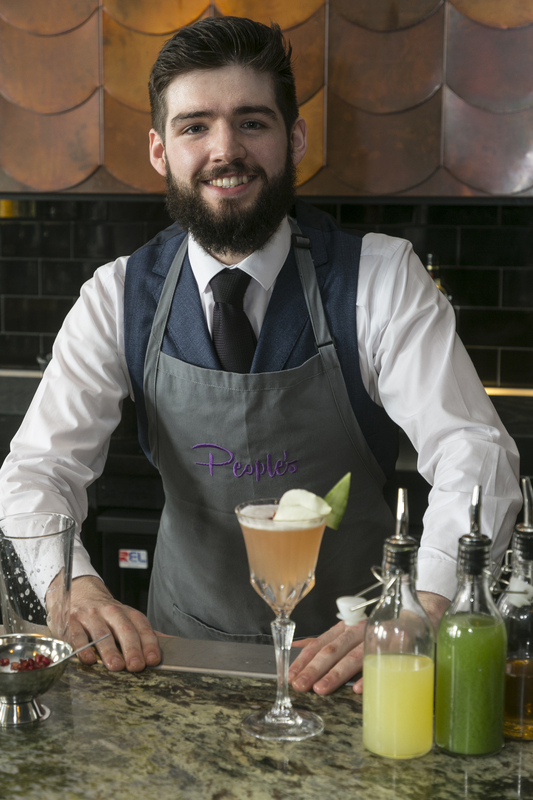 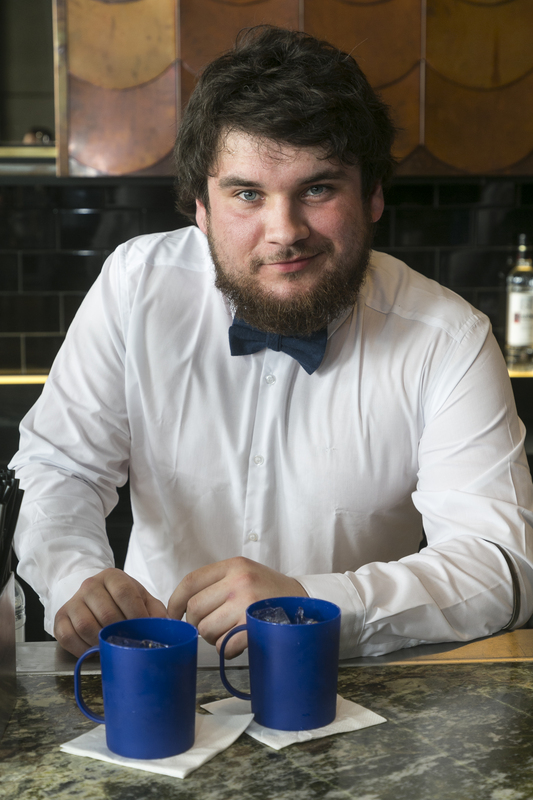 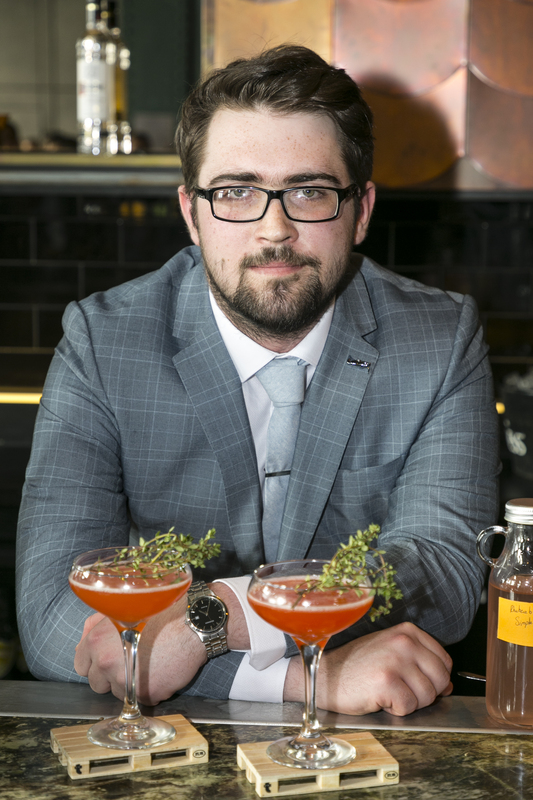 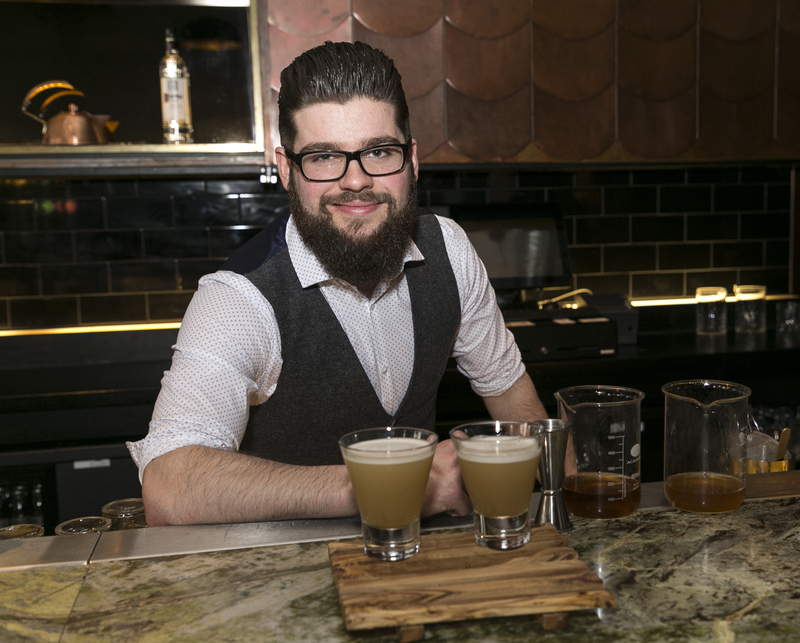 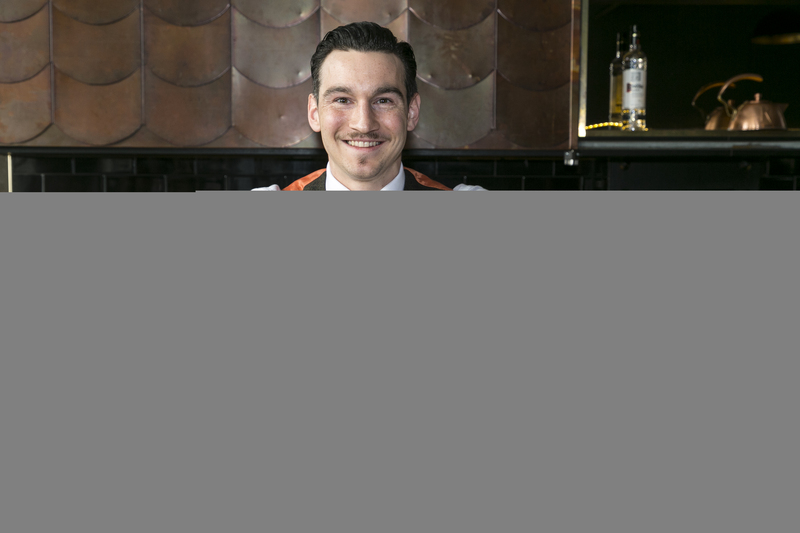 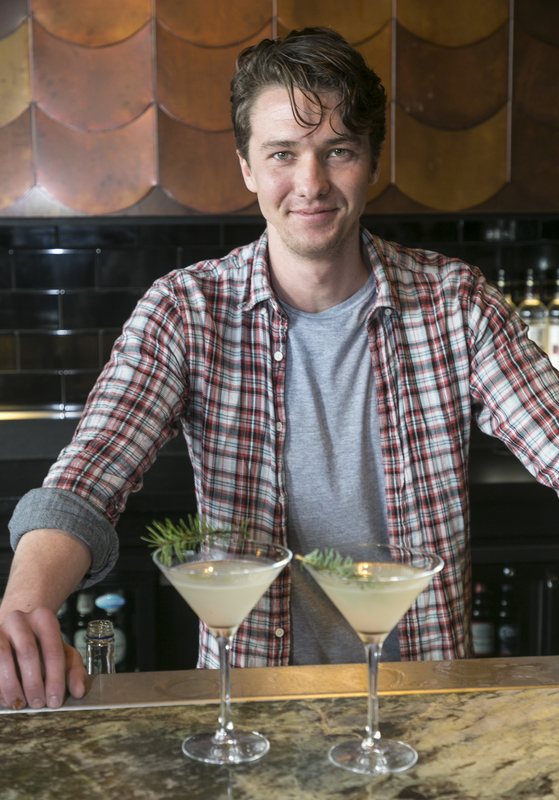 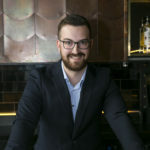 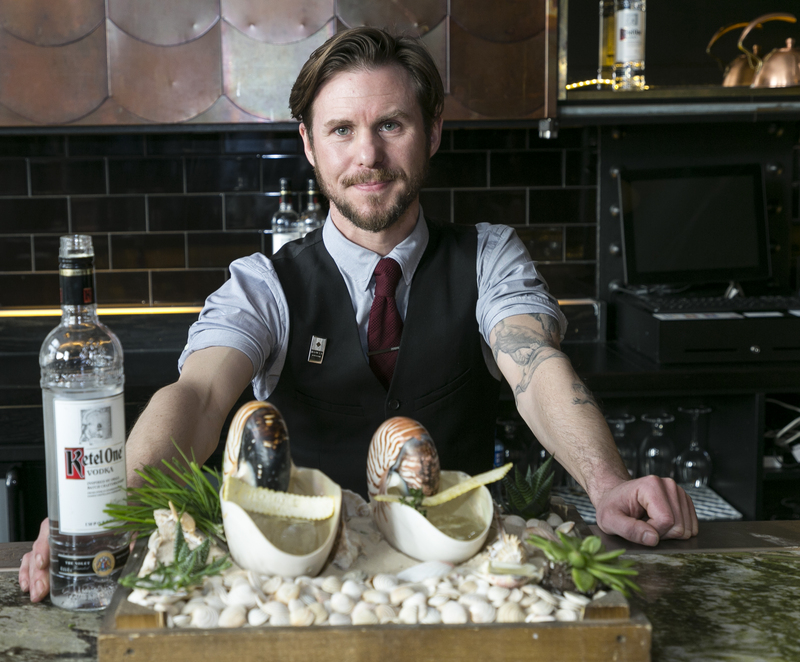 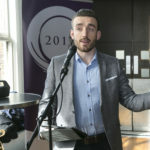 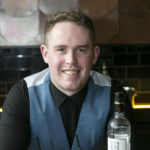 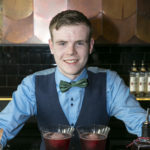 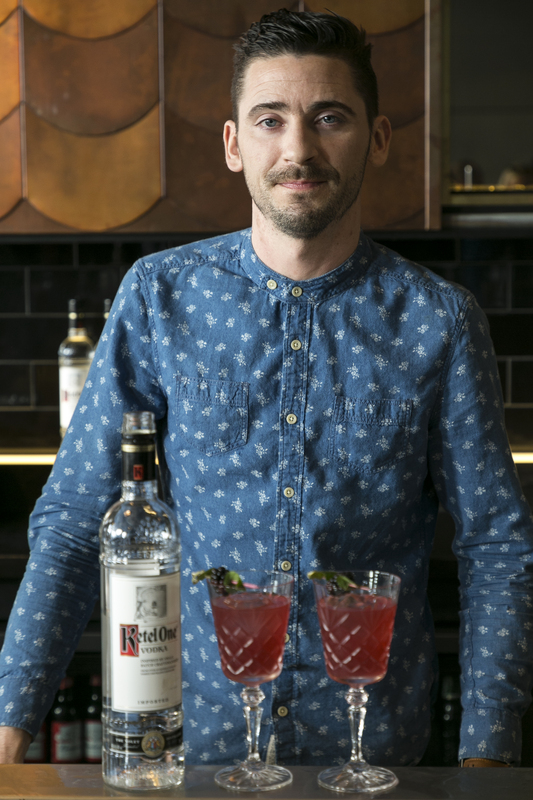 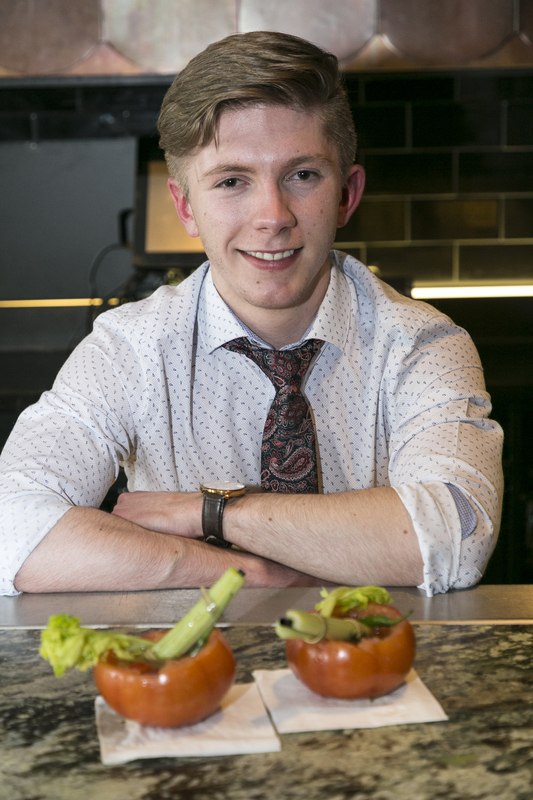 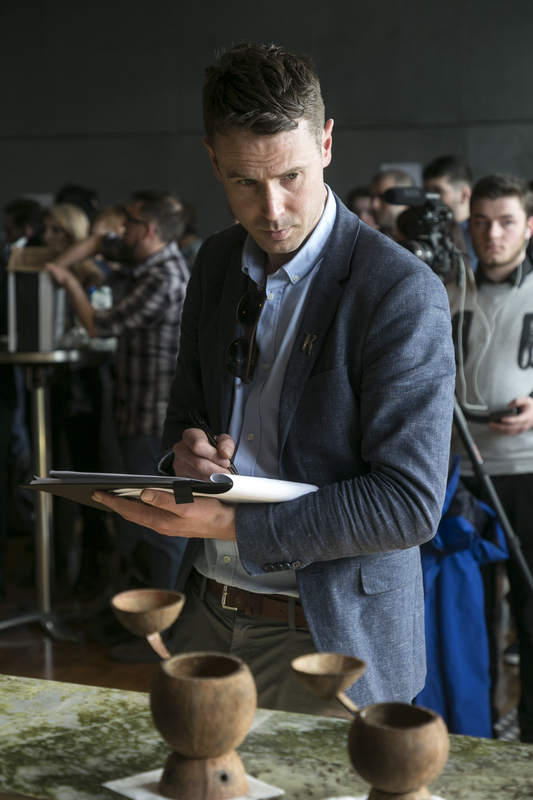 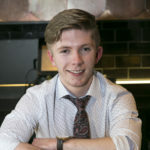 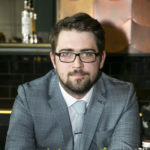 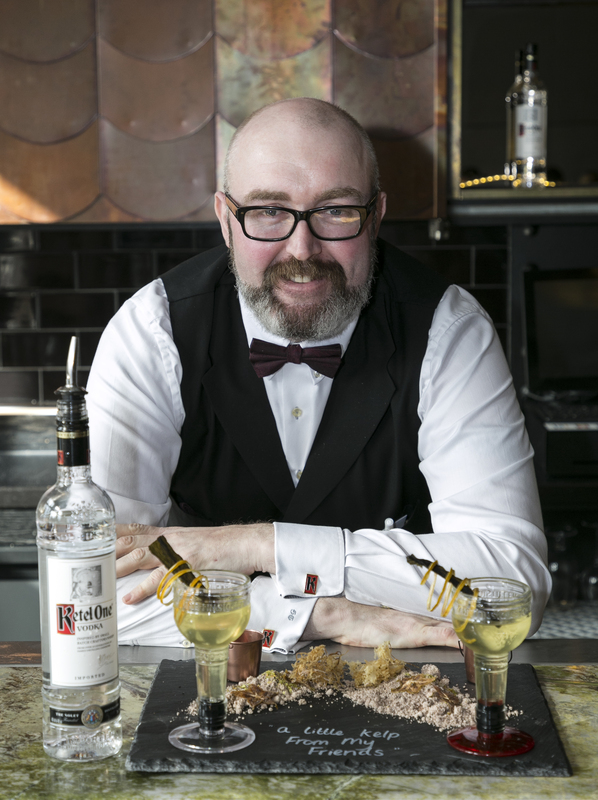 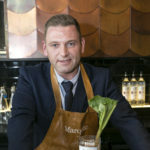 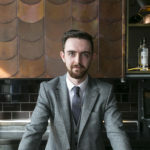 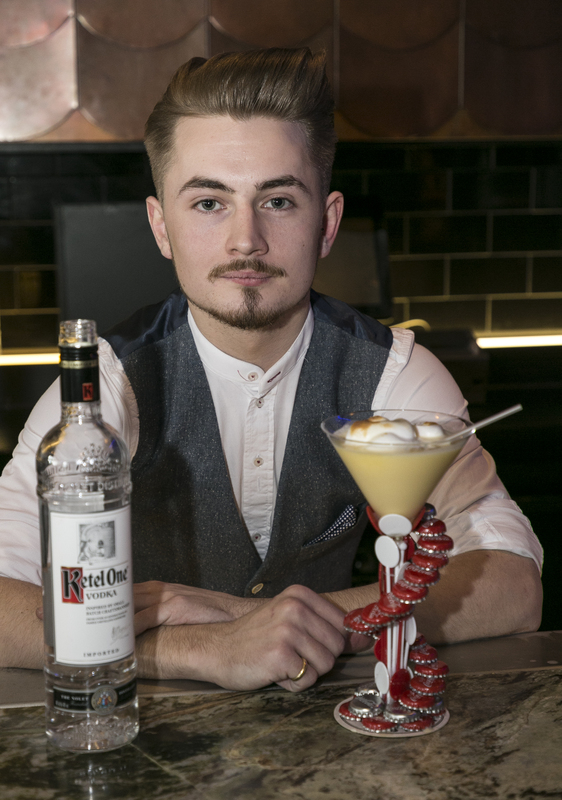 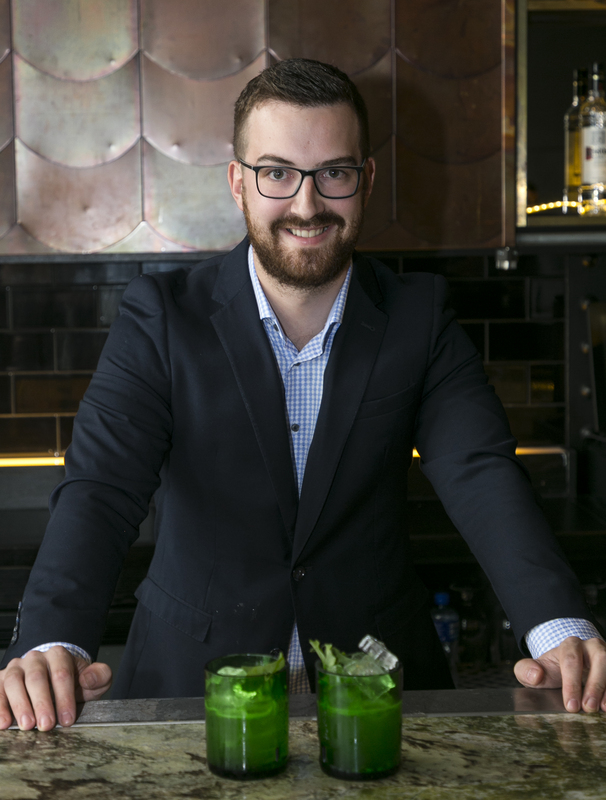 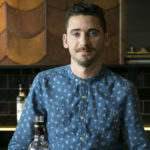 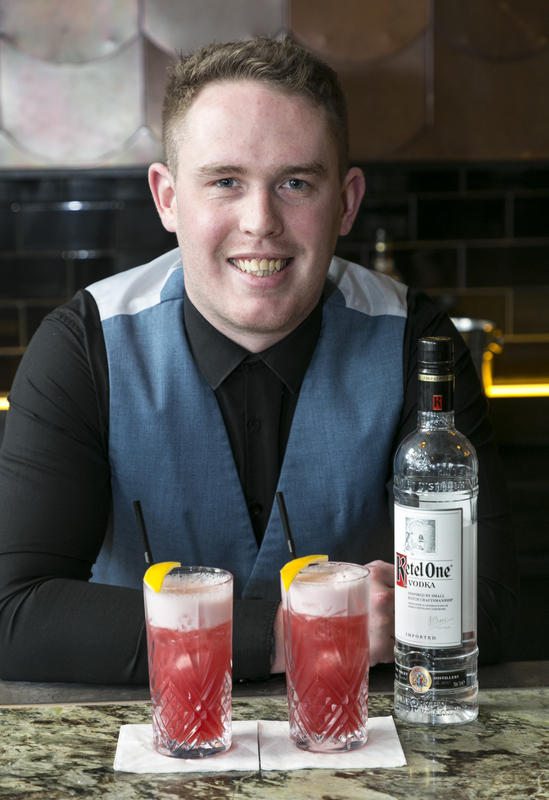 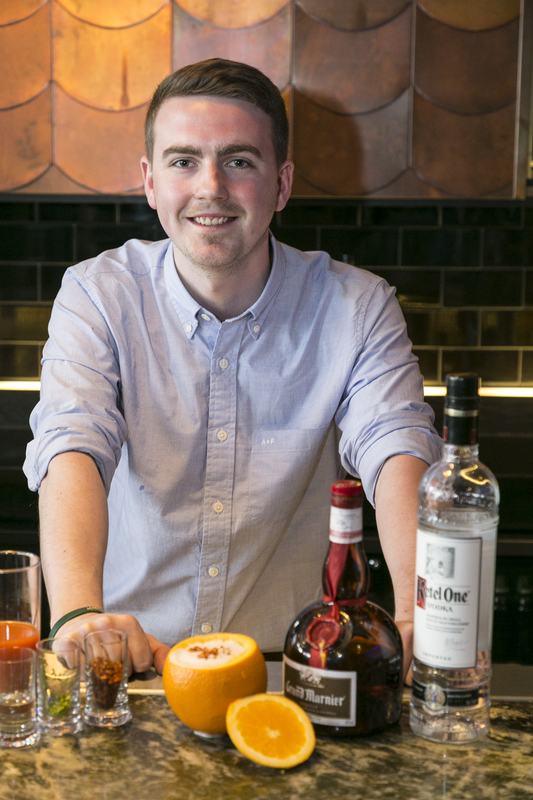 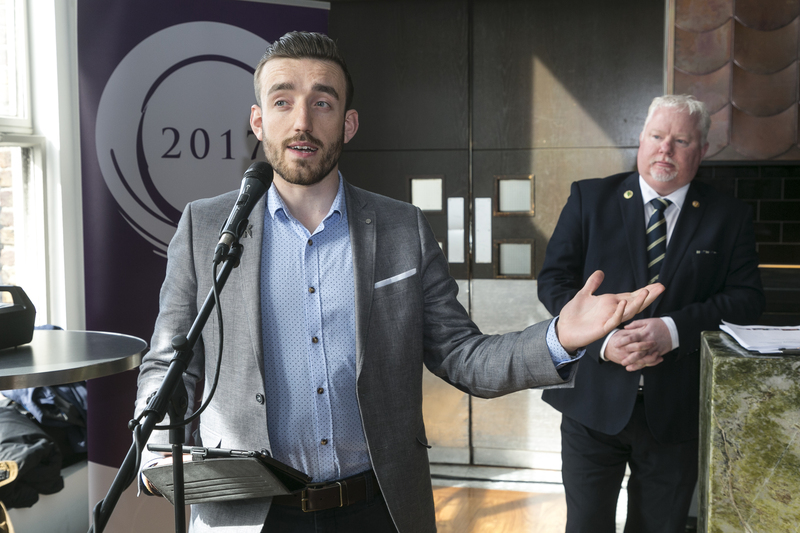 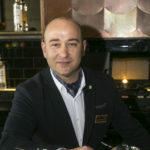 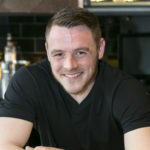 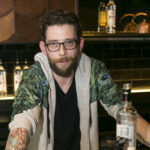 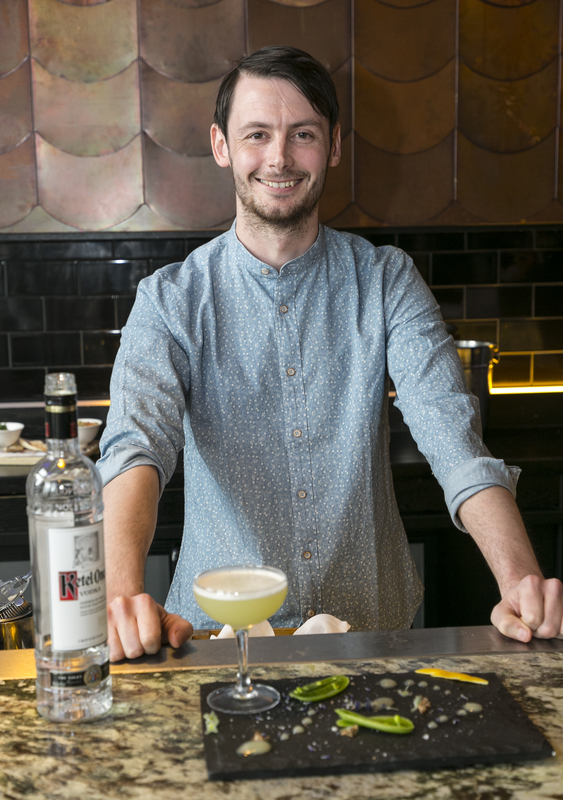 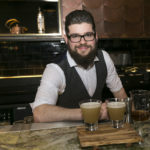 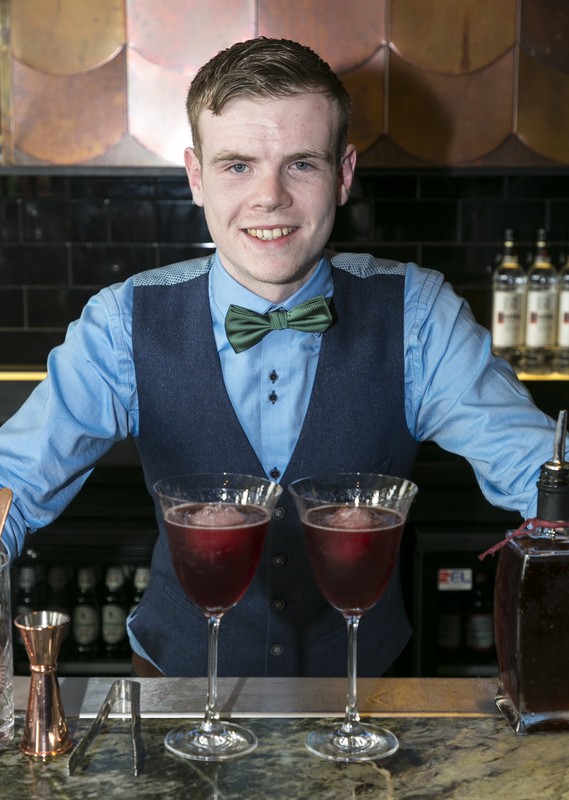 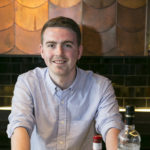 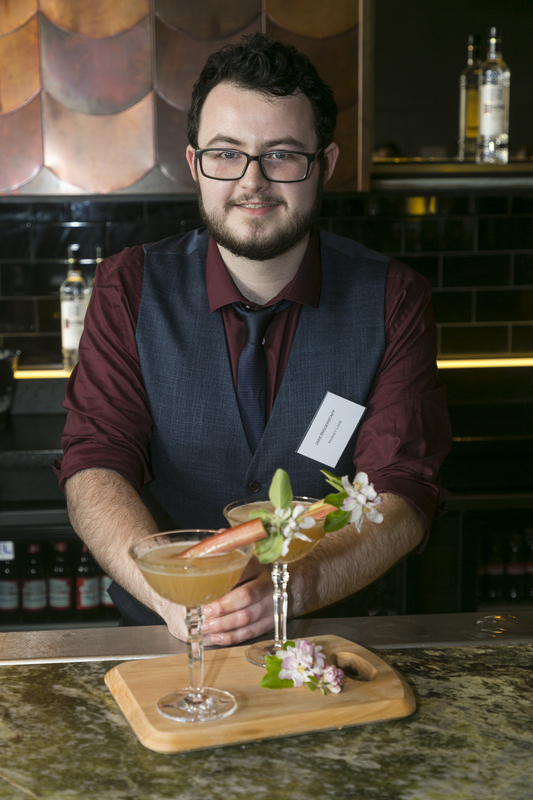 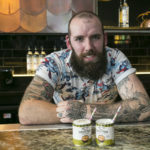 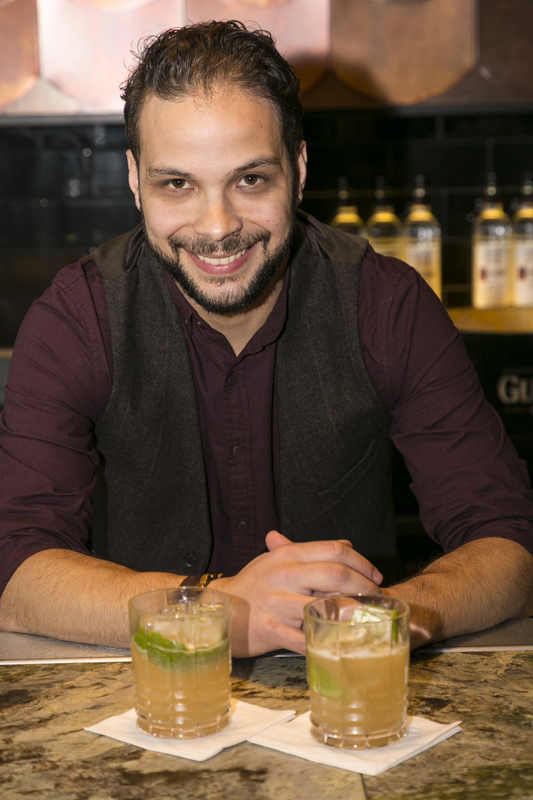 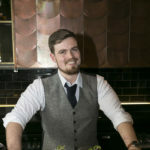 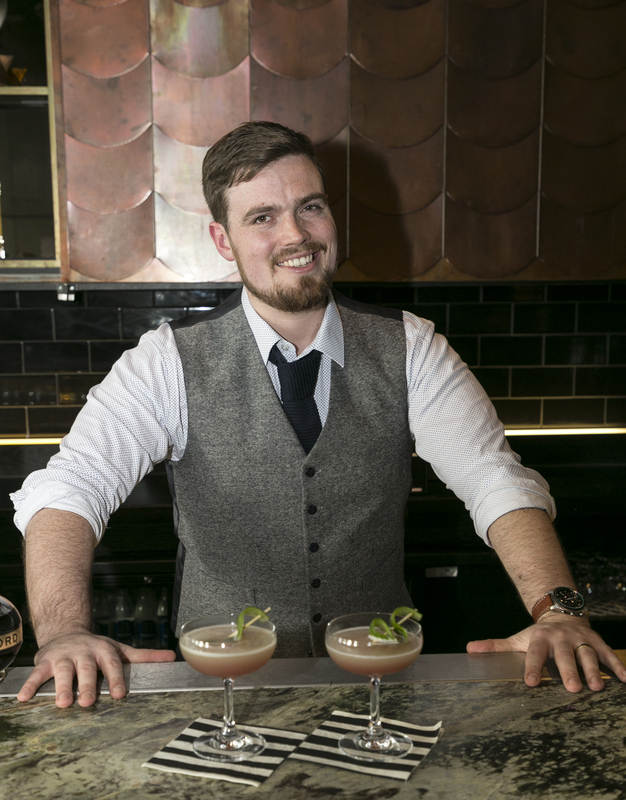 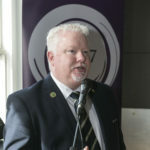 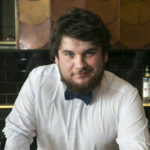 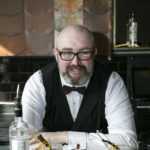 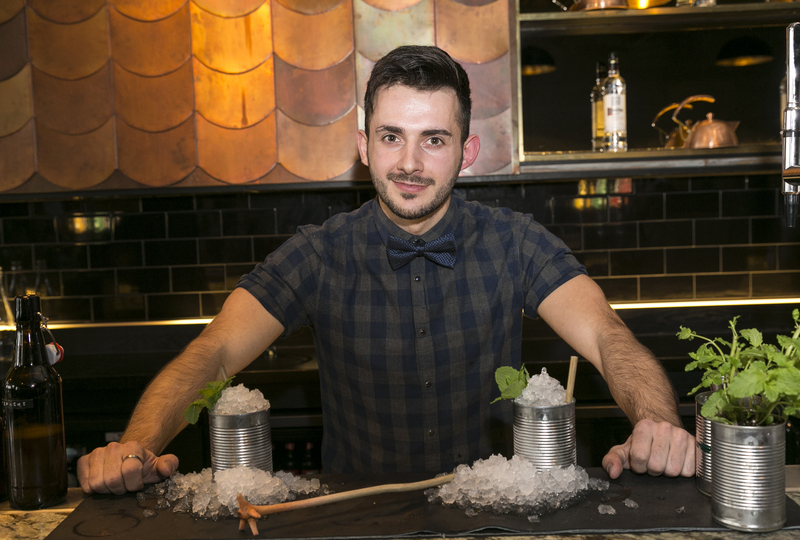 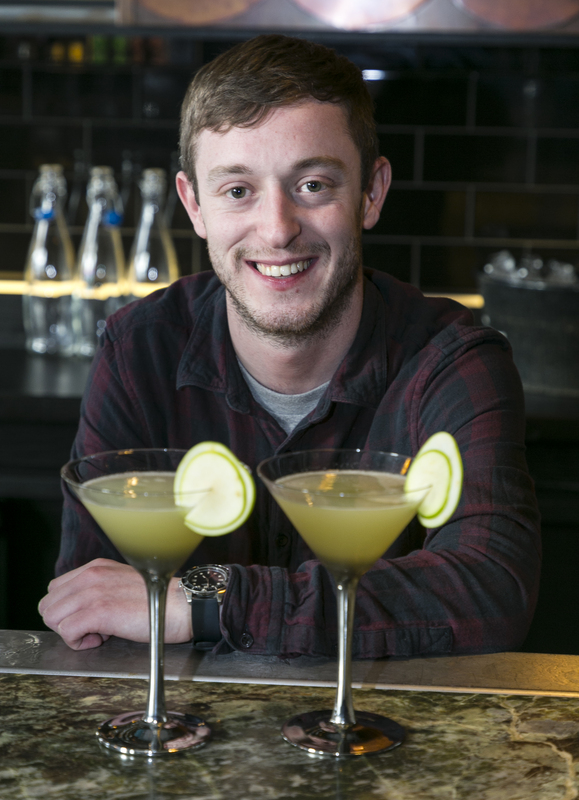 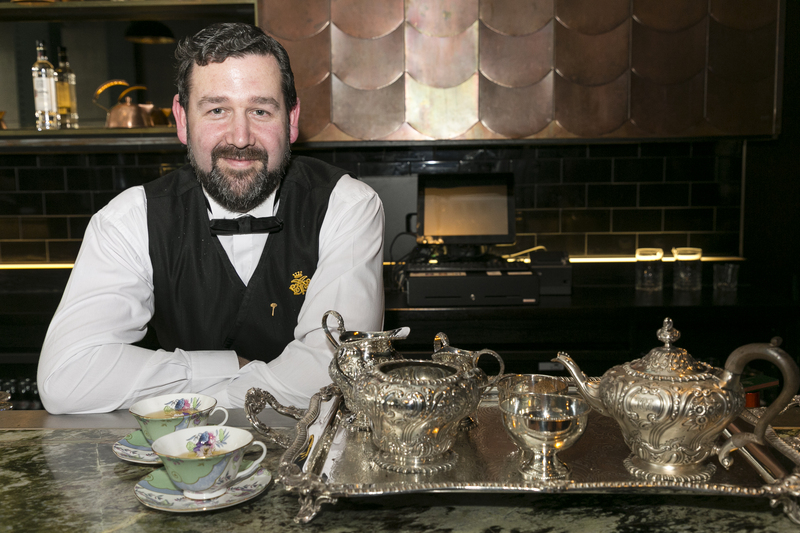 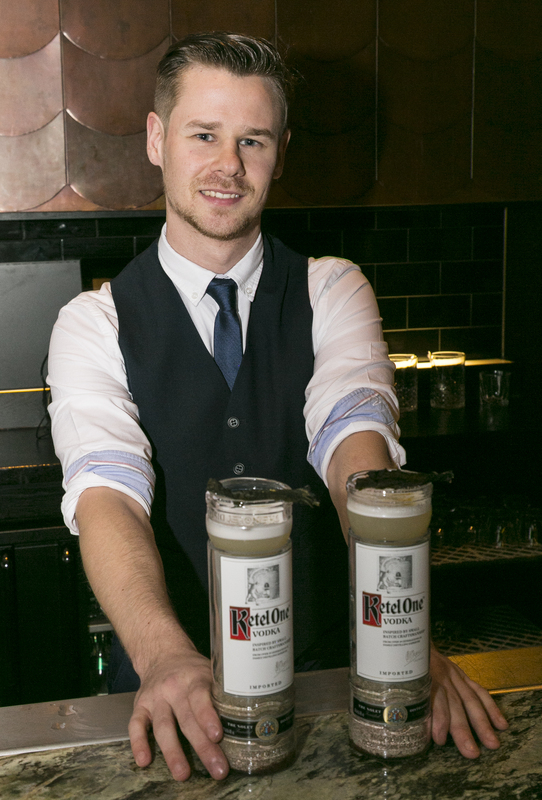 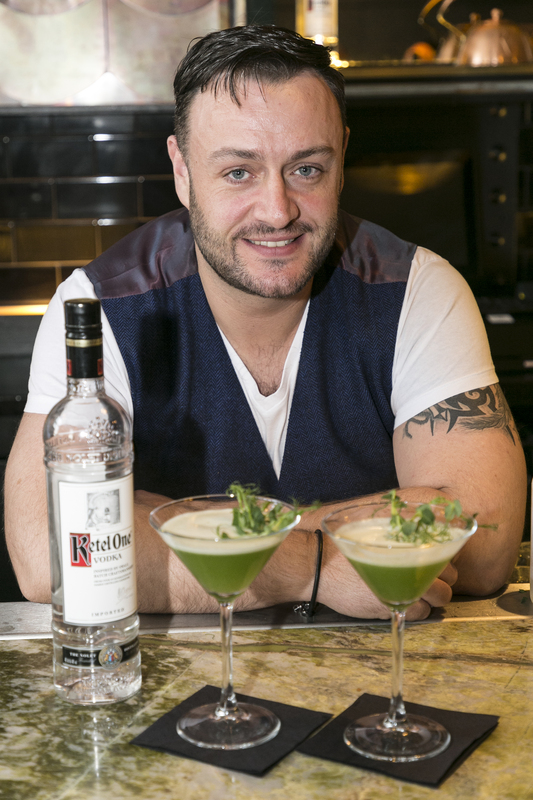 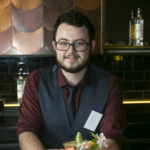 Declan Byrne of the Irish Bartenders Association, Head Judge of Ireland Cocktail competition 2017. 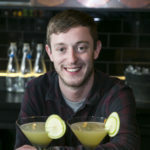 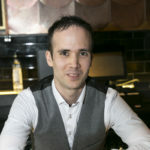 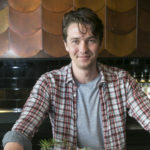 Jake Biggerstaff of Market Lane.